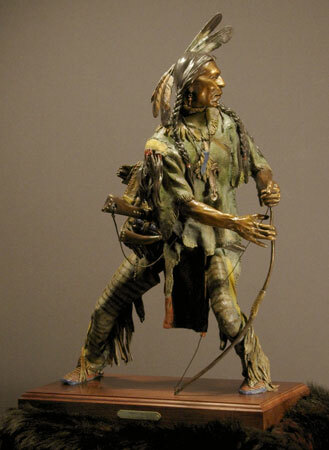 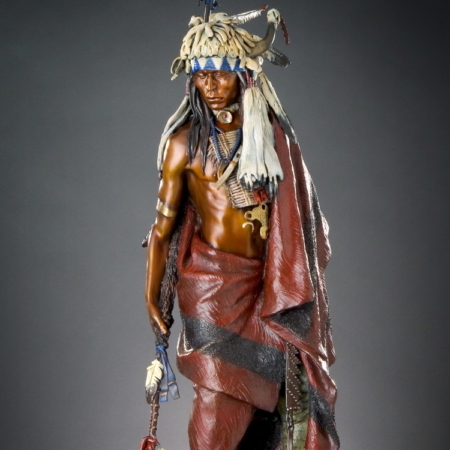 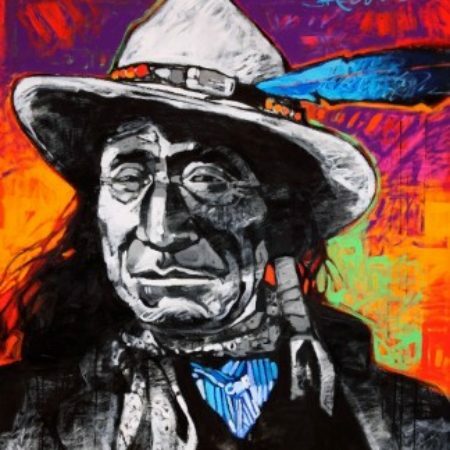 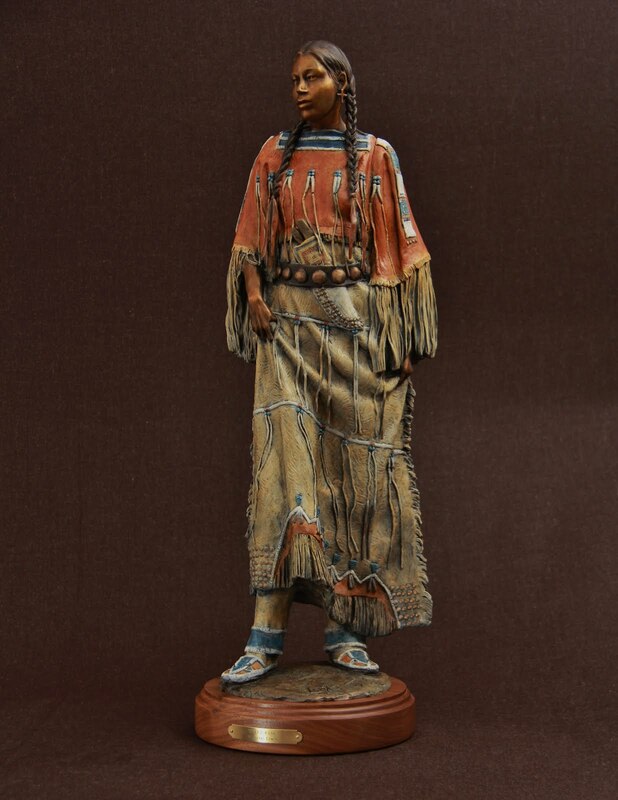 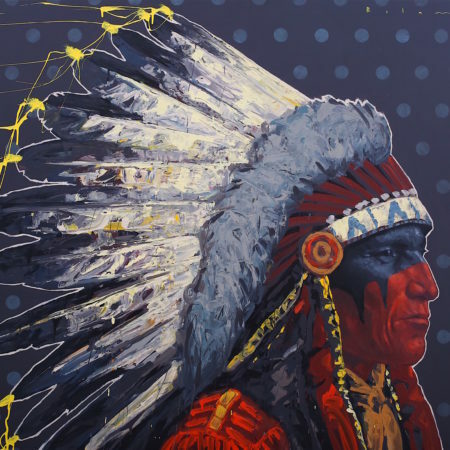 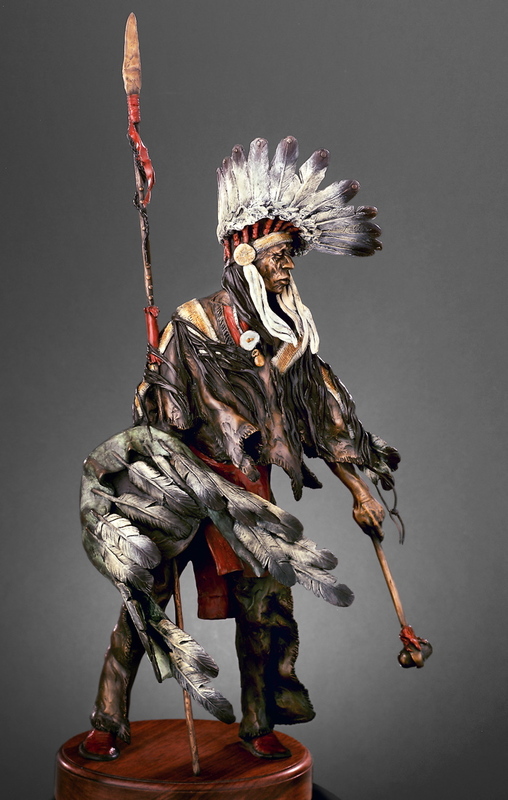 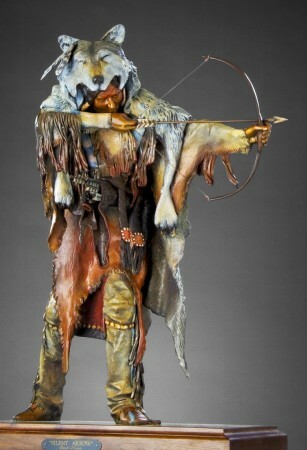 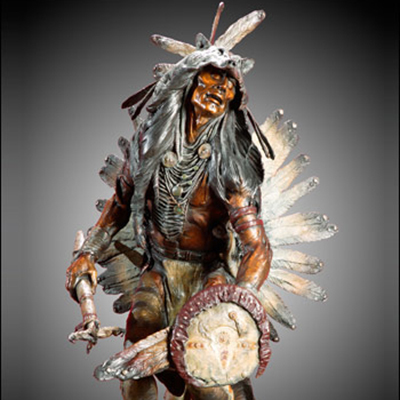 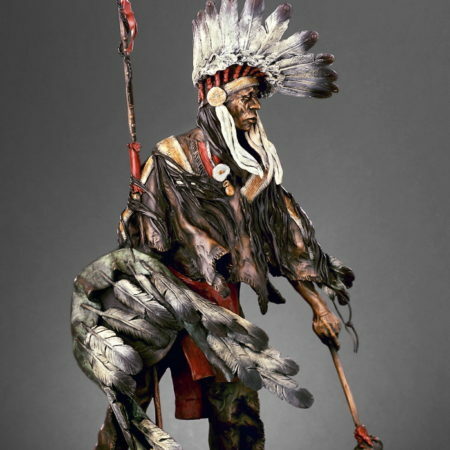 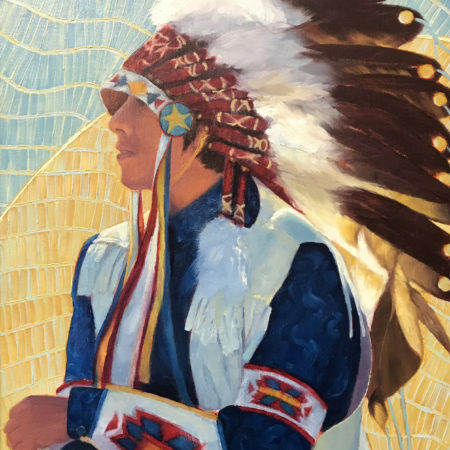 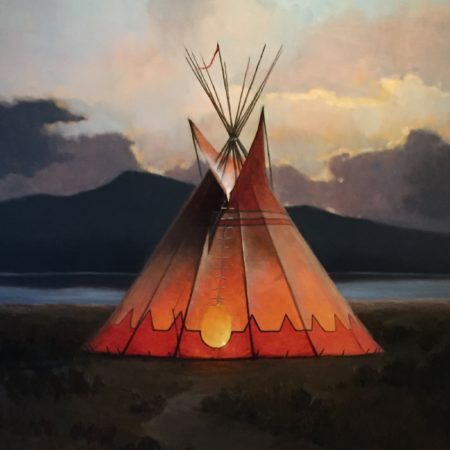 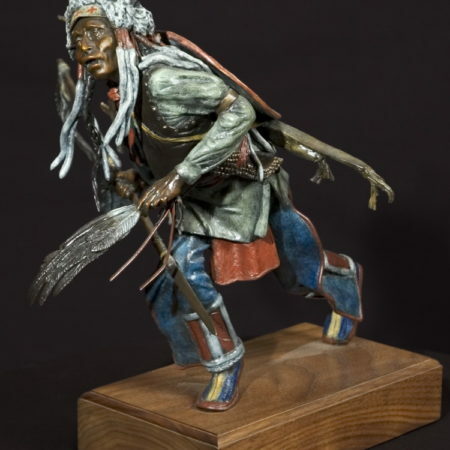 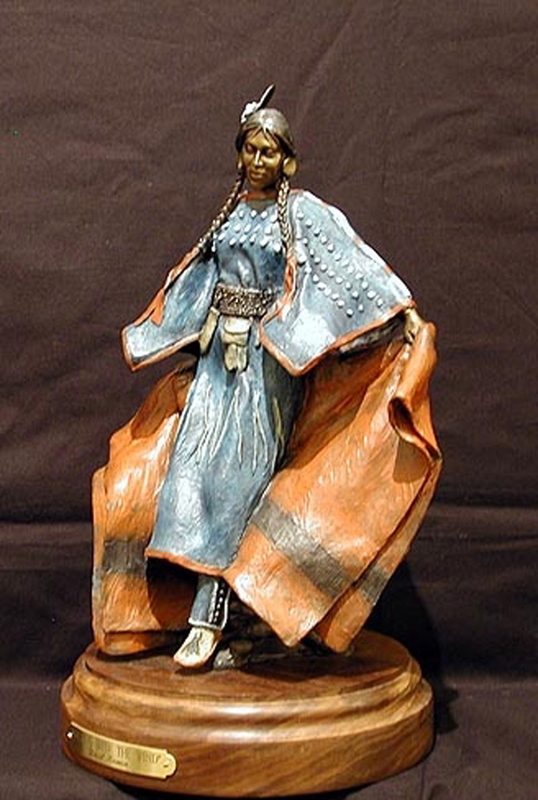 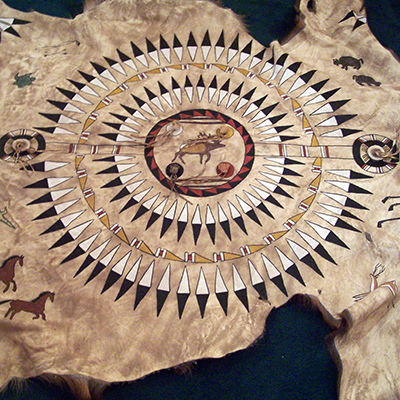 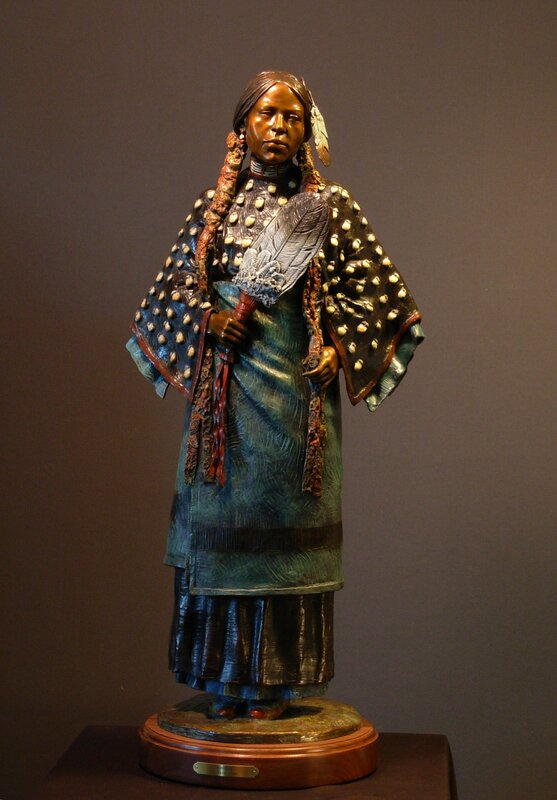 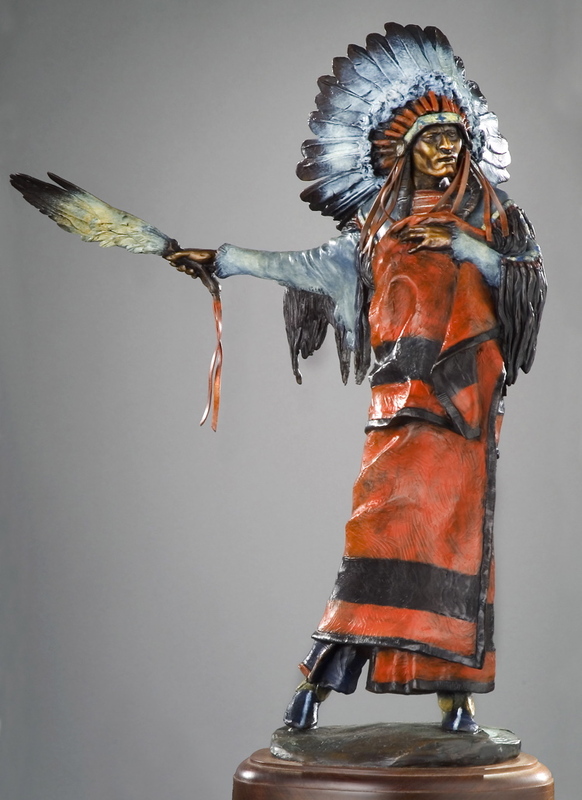 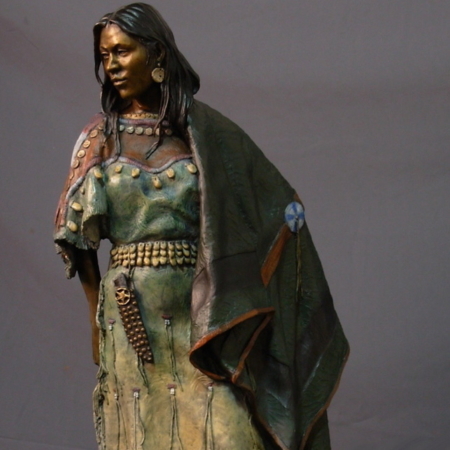 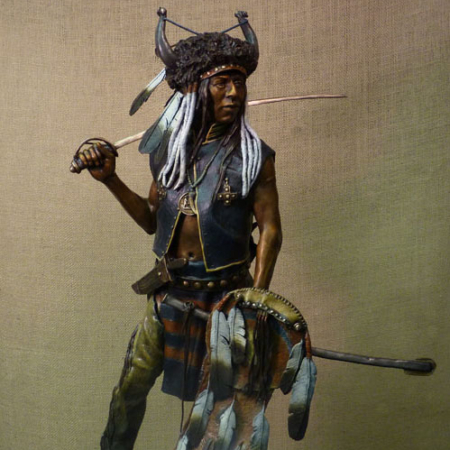 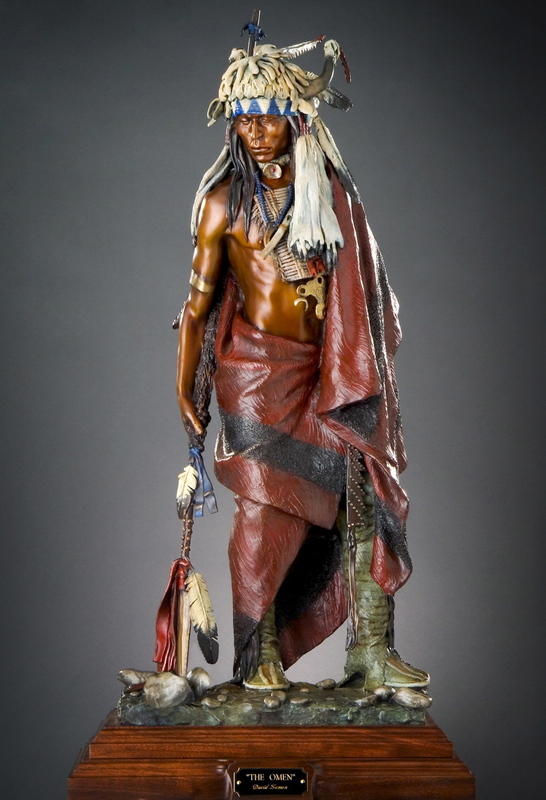 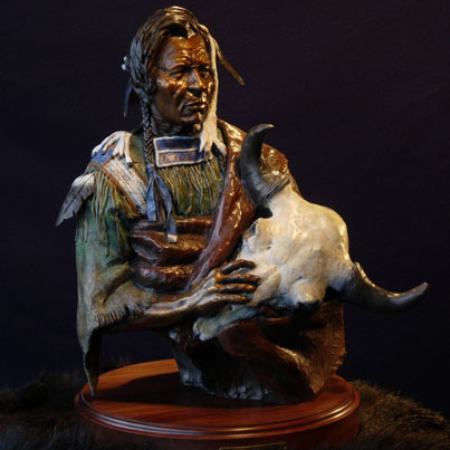 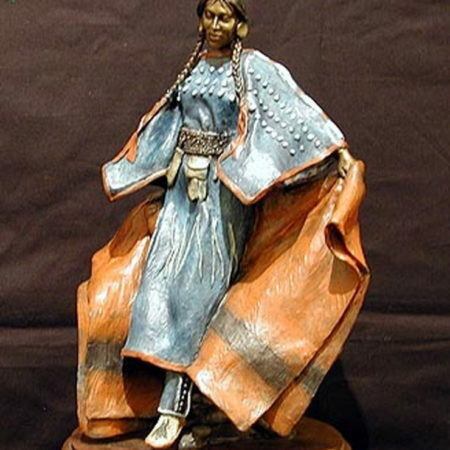 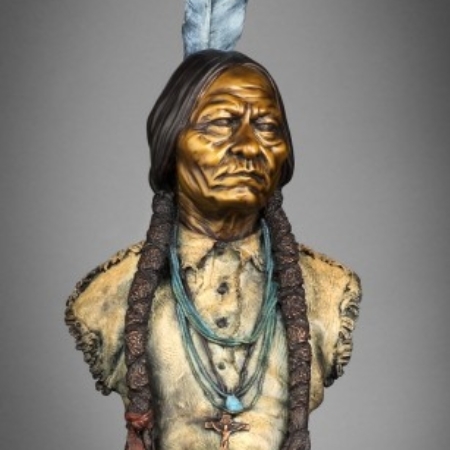 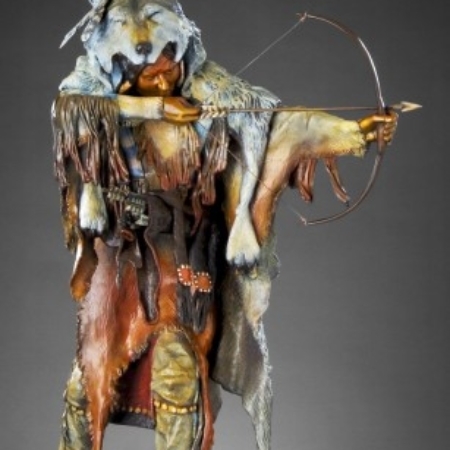 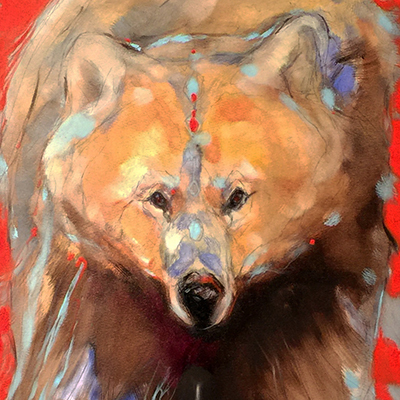 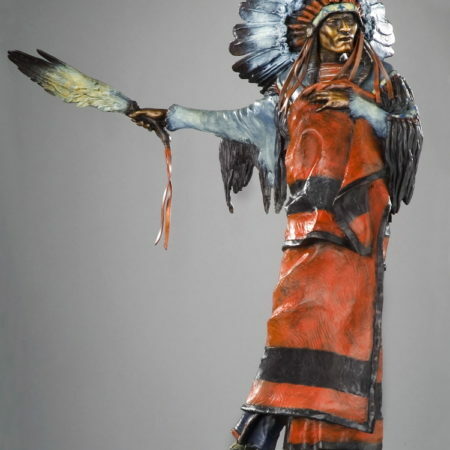 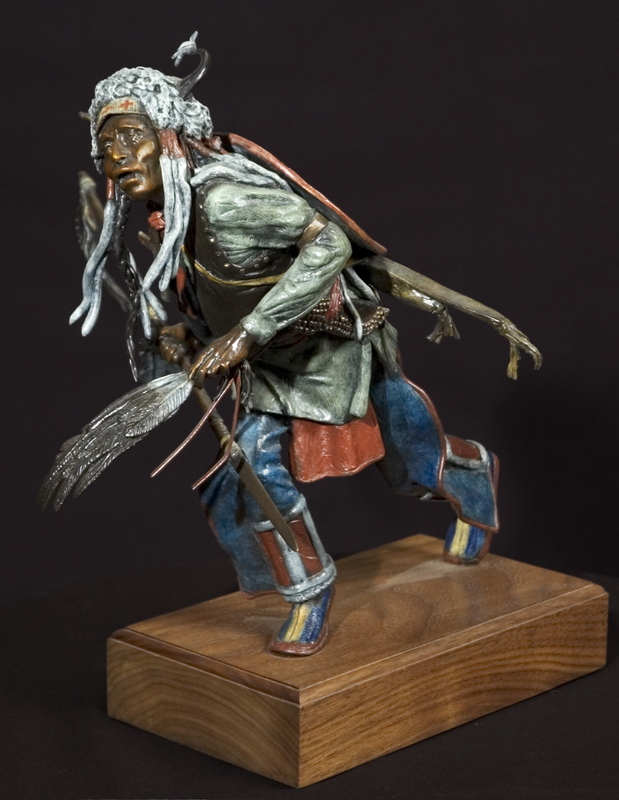 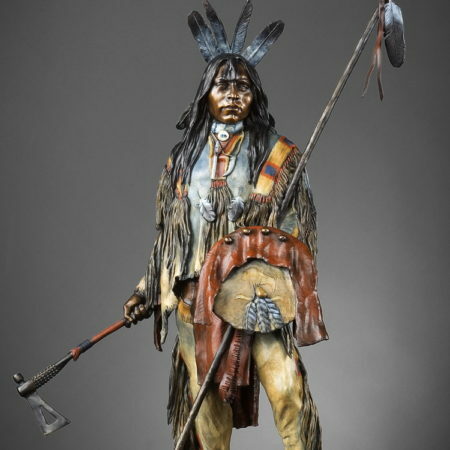 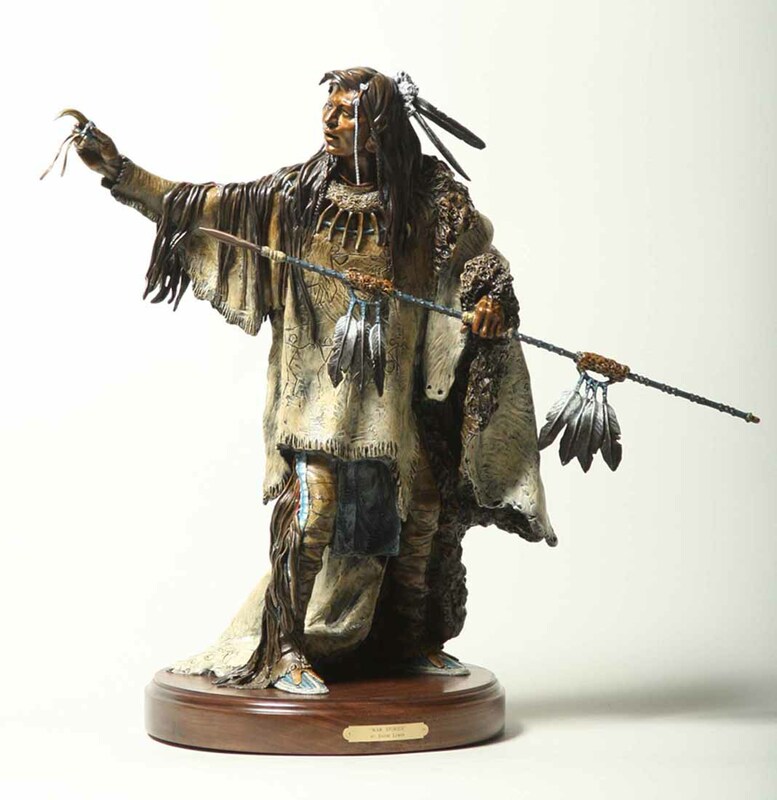 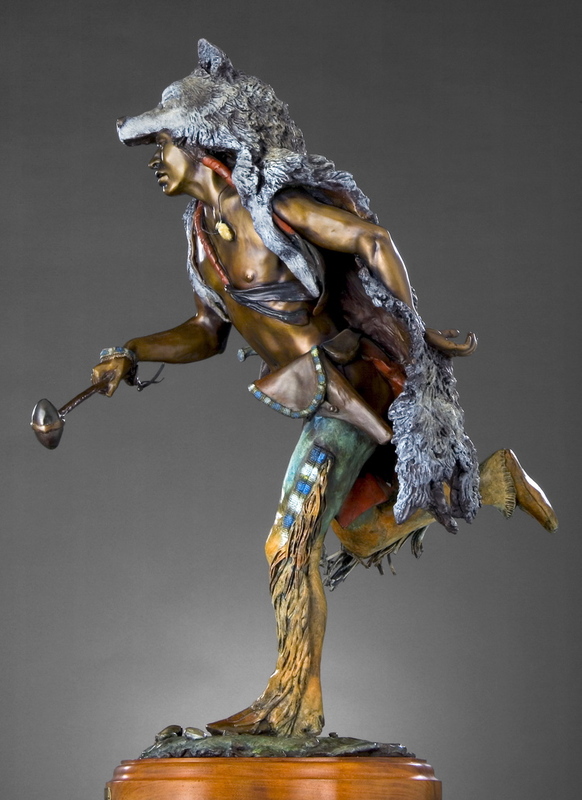 David Lemon, a member of the Gallup New Mexico Indian Artist's Group, "Gathering of the Masters", is a mesmerizing storyteller as well as an inspired scultor. 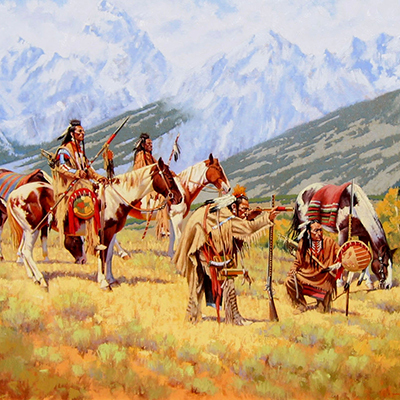 David’s family originally settled in Utah in 1848. 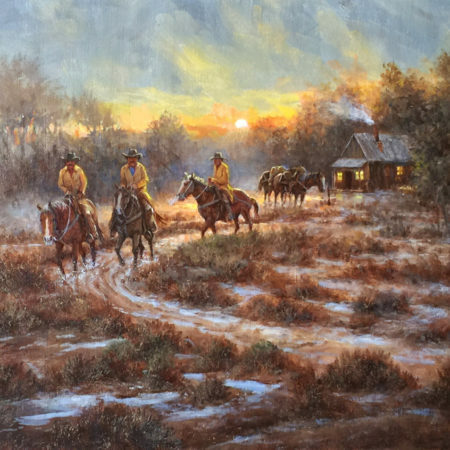 Through the stories told by his father and grandparents, David developed a deep interest in the Old West. 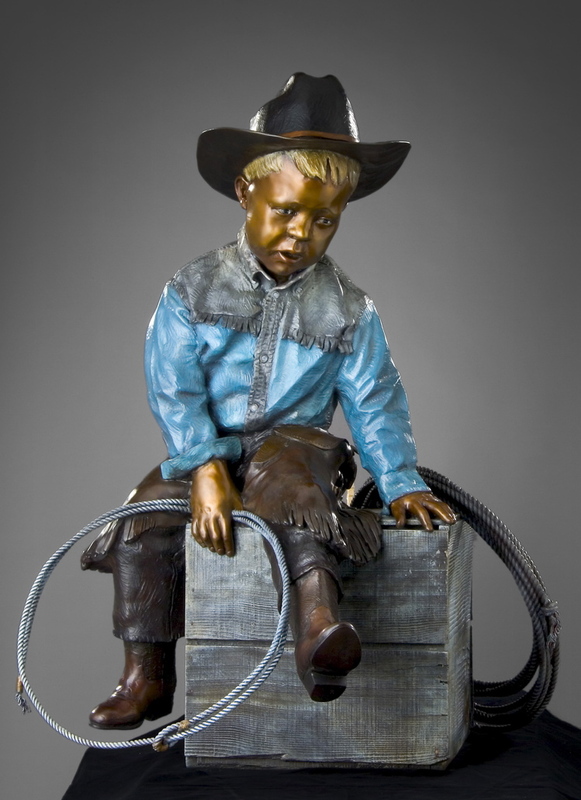 His parents encouraged him in his art, despite calls from his fifth grade teacher that young David was ignoring classroom activities and spending his time drawing cowboys and Indians. 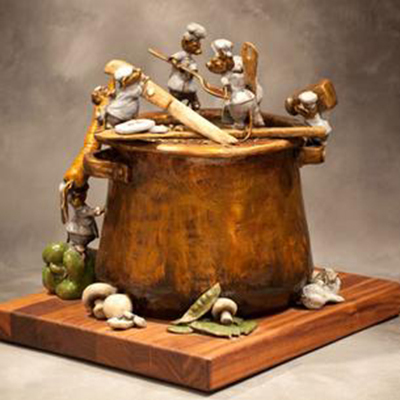 Lemon’s sculpting career began his senior year in high school when he signed up for a ceramics class. 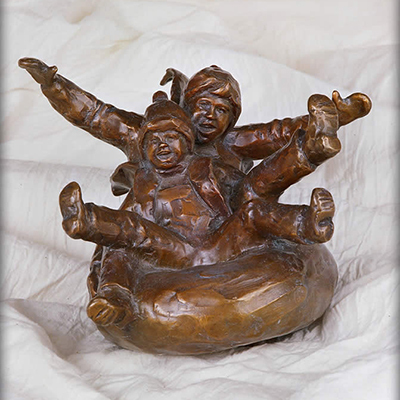 All thumbs when it came to throwing pots, David’s teacher suggested he try his hand at sculpting the terra-cotta clay. 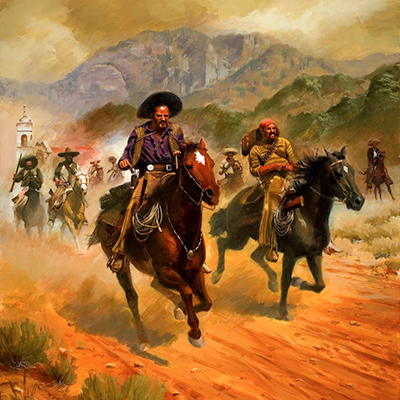 His efforts earned him three scholarships. 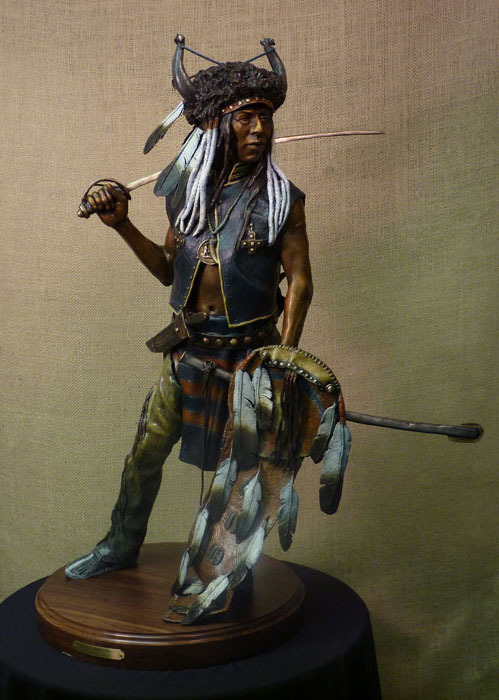 For the next twelve years, David served in the U.S. Navy and sculpted only as a hobby, slowly, freely developing his own unique style. 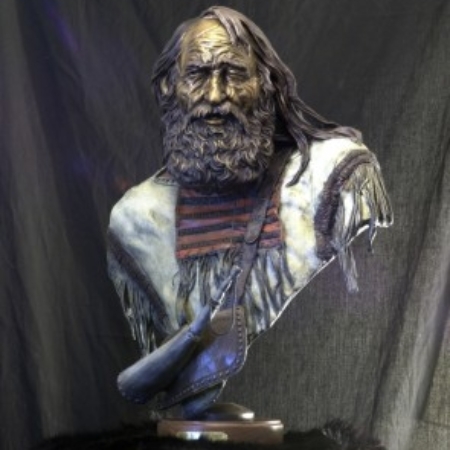 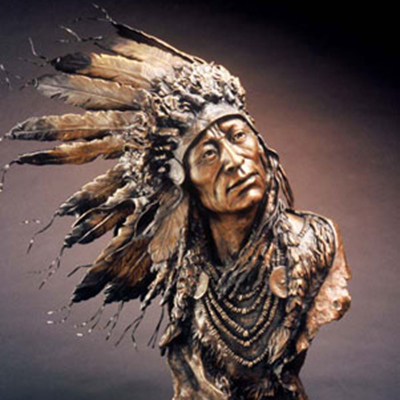 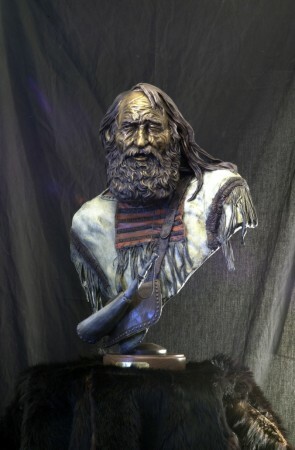 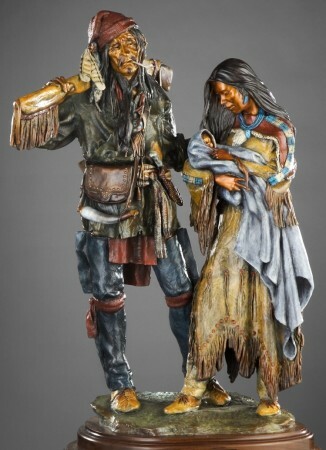 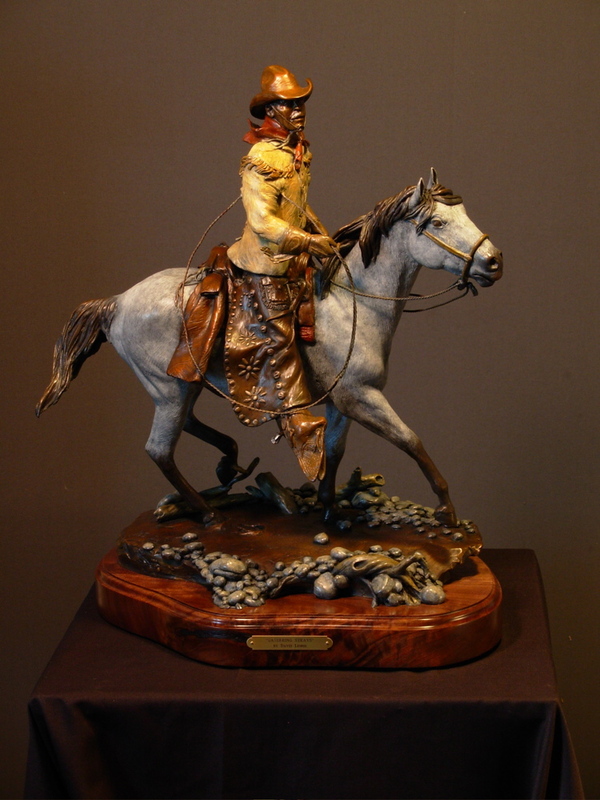 In 1977, he entered a sculpture in the Utah State Fair. 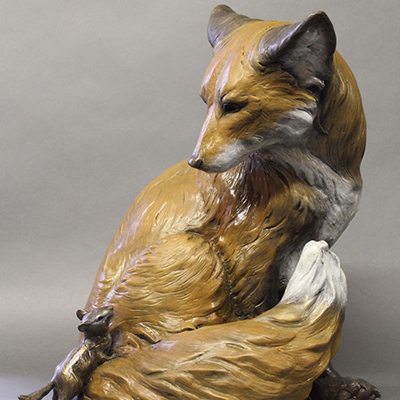 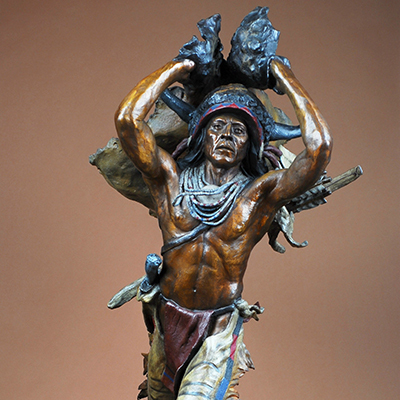 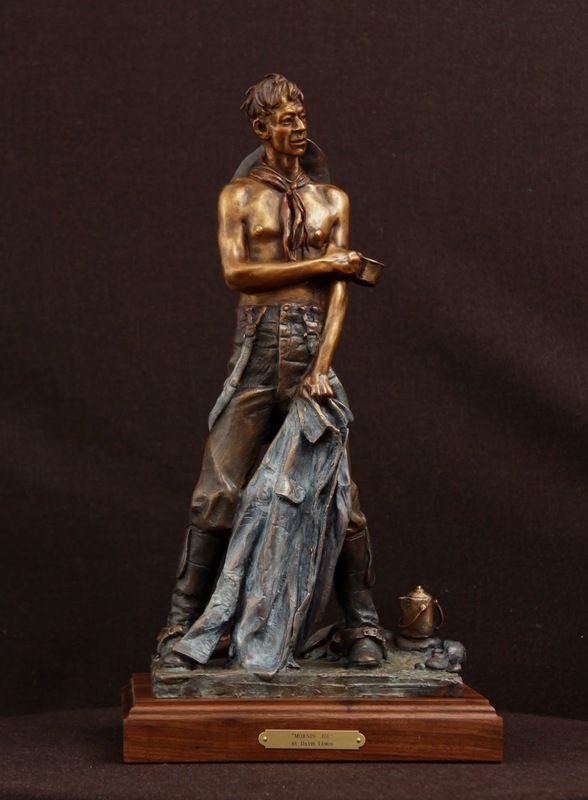 Taking first place honors, he gained the confidence he needed and launched his professional career as a sculptor. 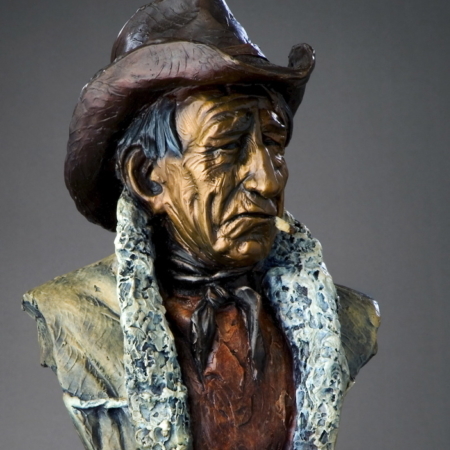 David Remembers visiting an old uncle who was in his 90's, sometime in the 1950's. 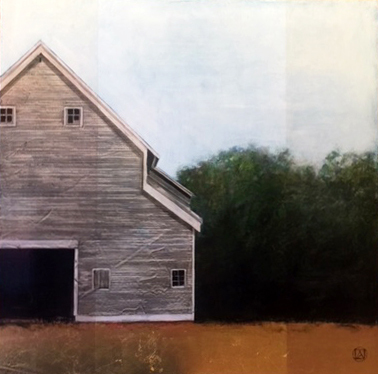 In David's words, "We drove up in my dad's 50 Chevy, to an old wood framed farm house, som ewhere on the Kansas plains. 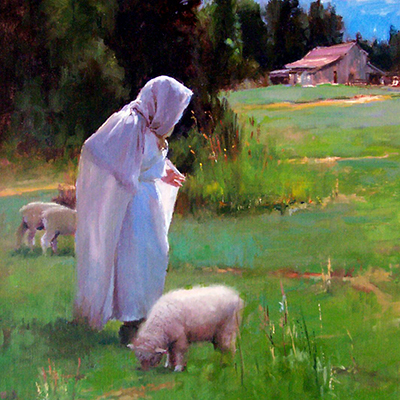 My uncle and auntcame out of the old farm house, he in his bib overalls and her in her old faded print dress with a white apron. 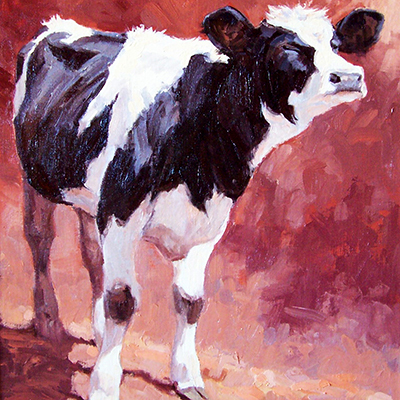 I remember the smell of raw milk in the house. 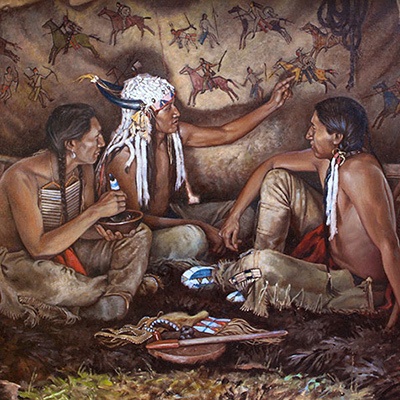 They separated their milk and then drank it raw. 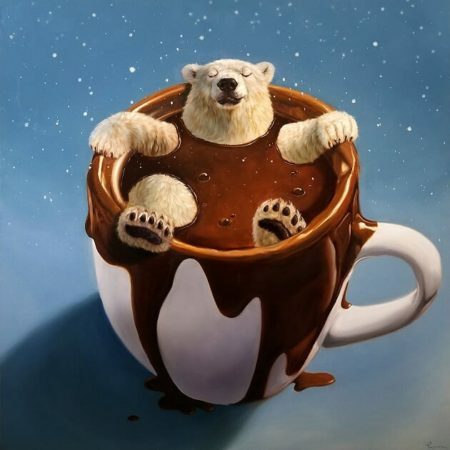 I never got used to that taste." 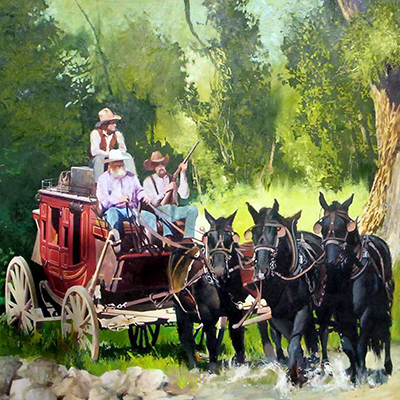 Dave continues, "After dinner my uncle took me and my brother and sister out to an old shade tree near the dirt road. 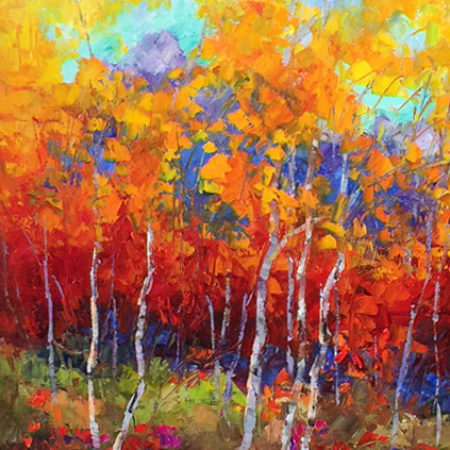 It was a huge tree with spreading limbs heavy with leaves, lightly rustling in the hot summer breeze. 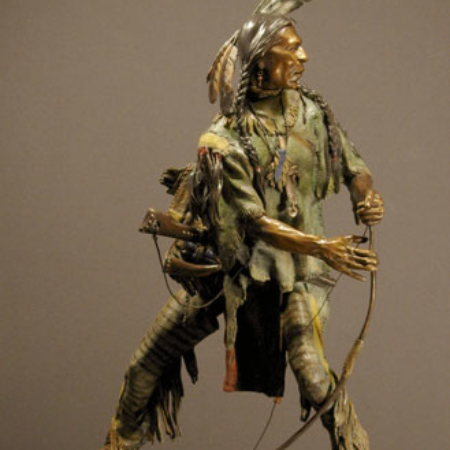 He pointed to a metal ring over grown by the bark of the tree. 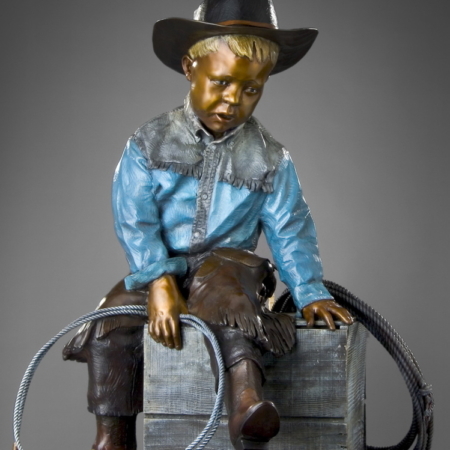 He looked at us straight in the eye and very seriously told us, Jesse and Frank James tied their horses up to that ring when they came to visit his dad long ago." 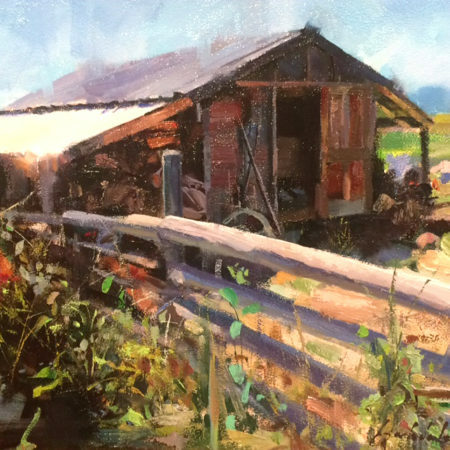 Stories like that are the inspiration that drives David's creativity. 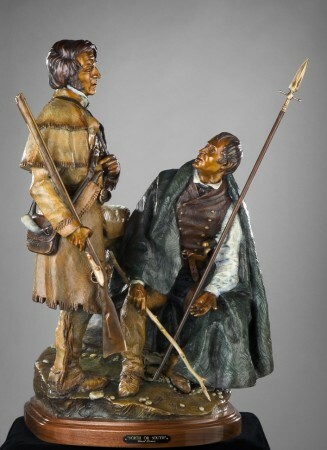 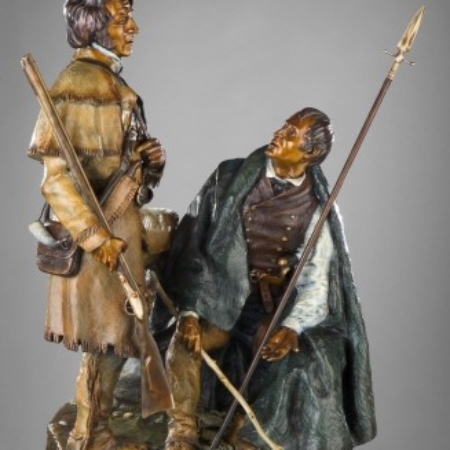 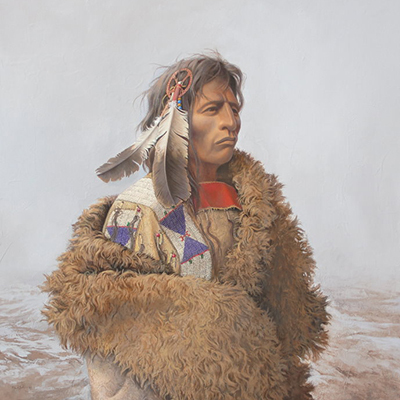 In galleries and private collections throughout the United States, Canada, Europe and the Far East, Lemon’s studies of the American experience speak proudly and passionately of the people who toiled and sacrificed to build a new nation. 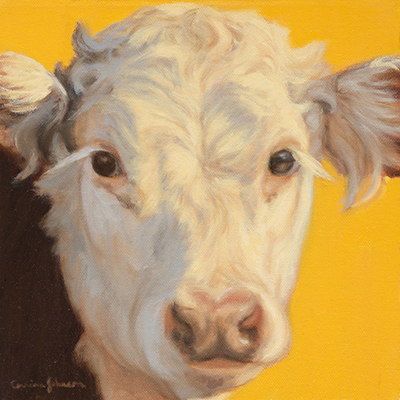 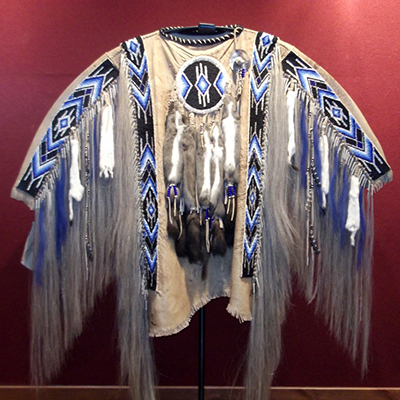 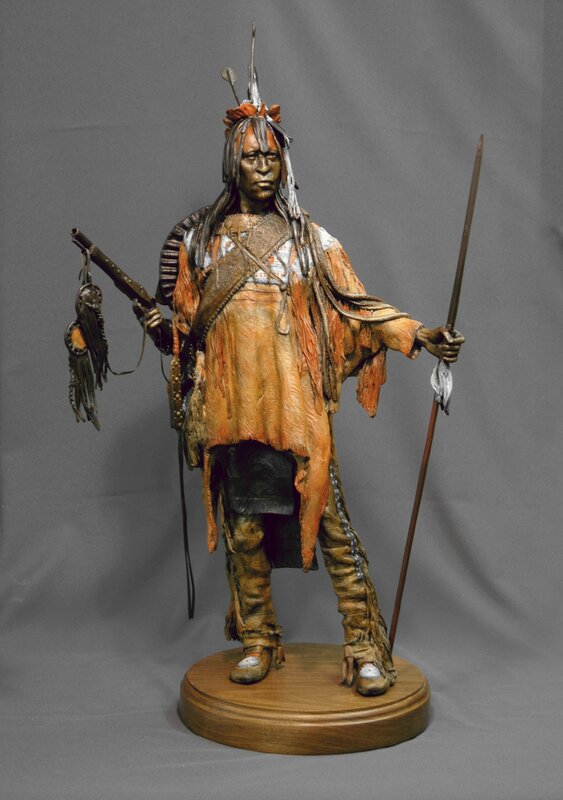 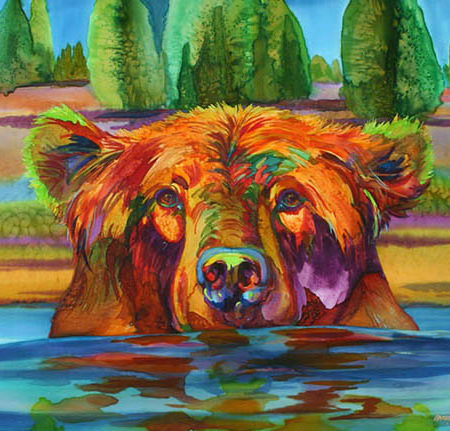 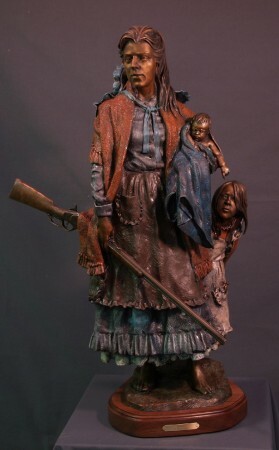 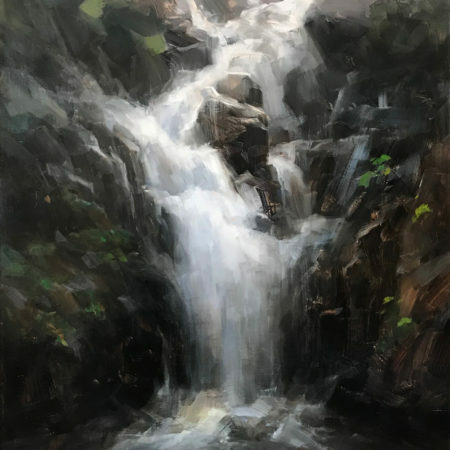 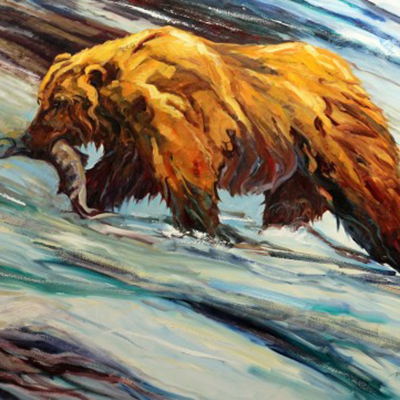 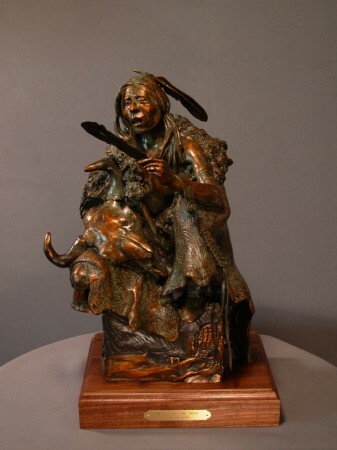 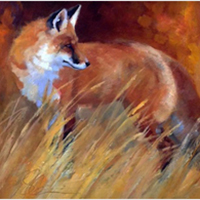 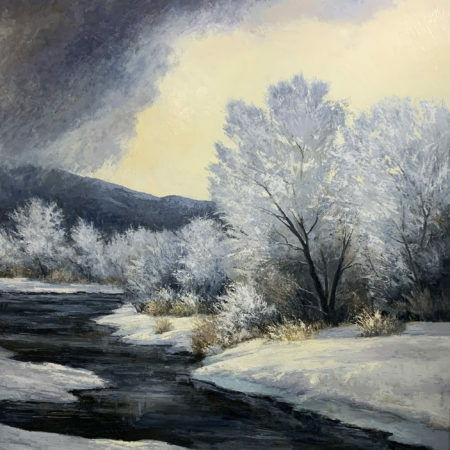 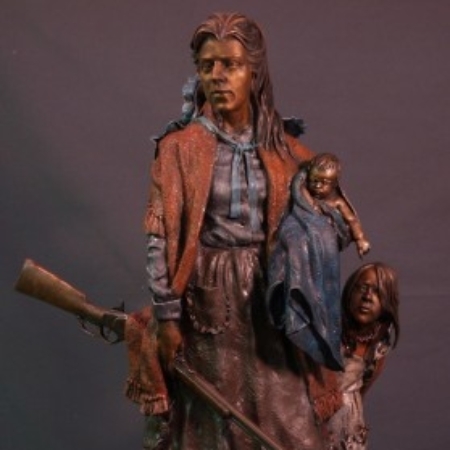 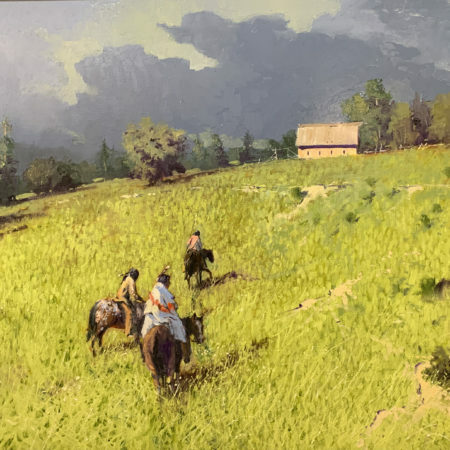 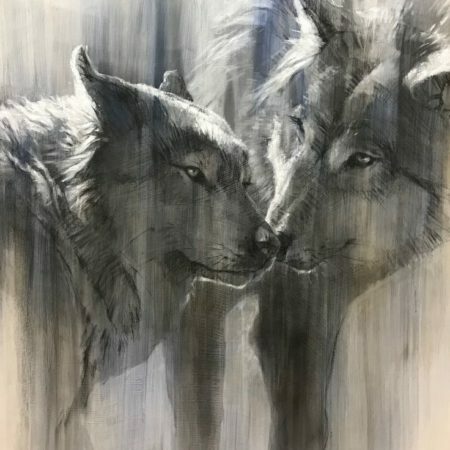 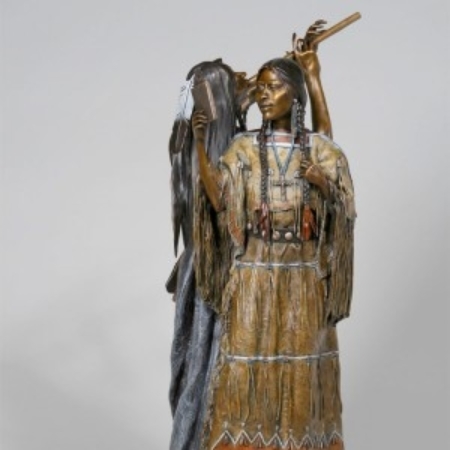 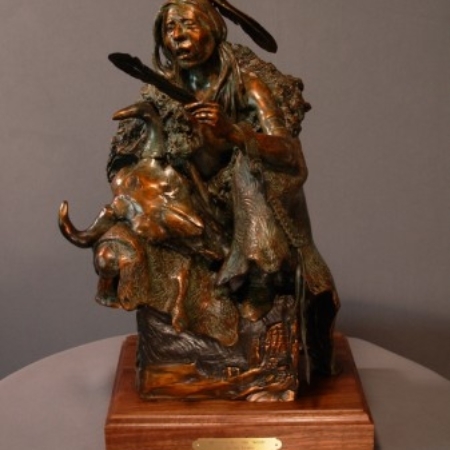 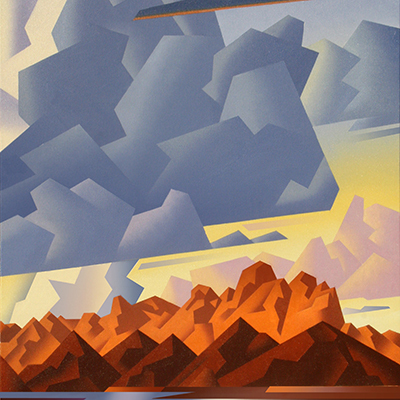 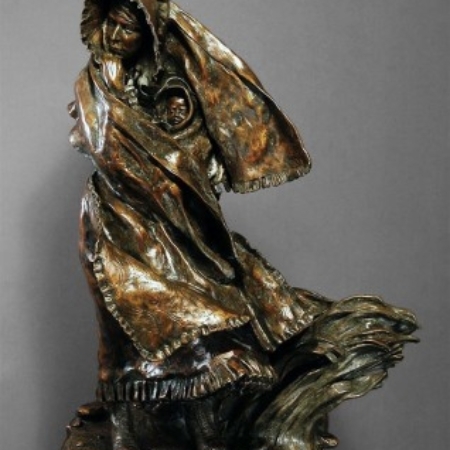 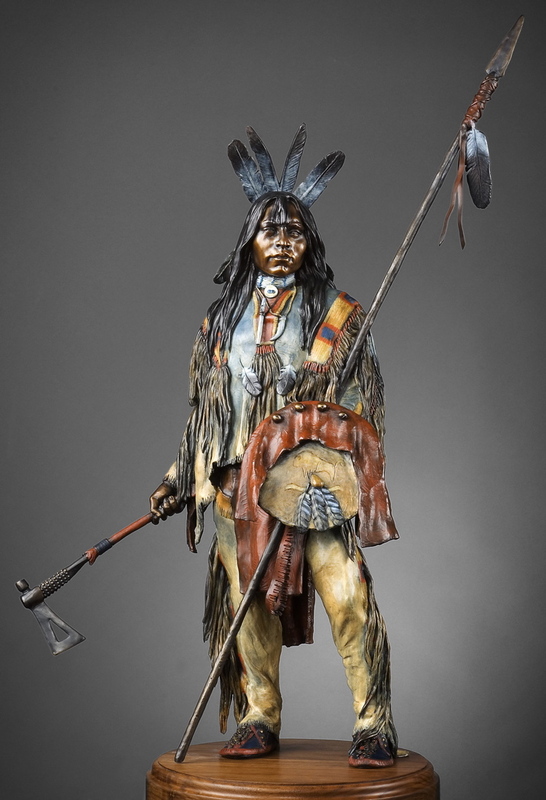 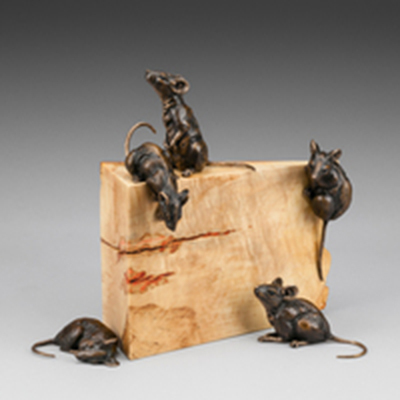 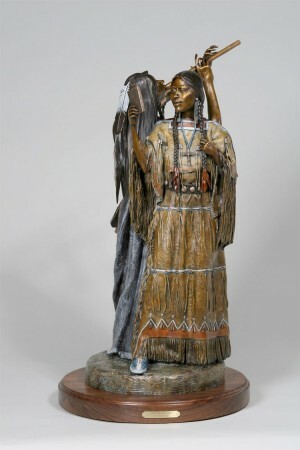 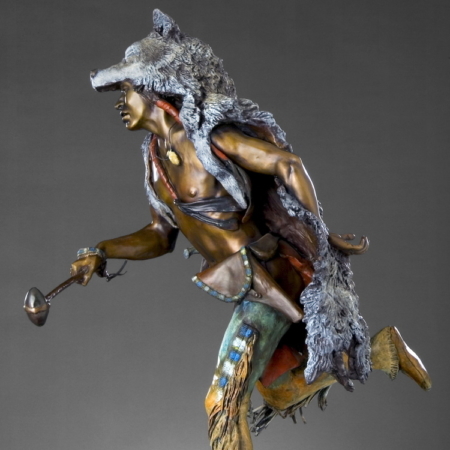 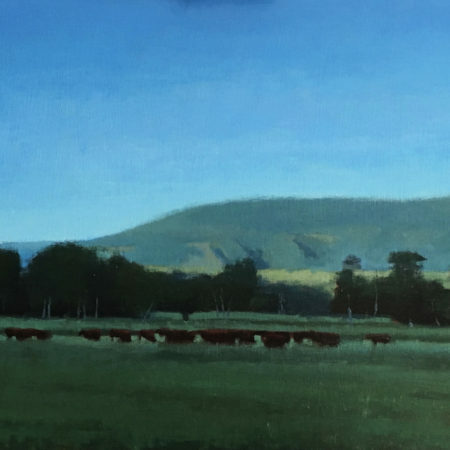 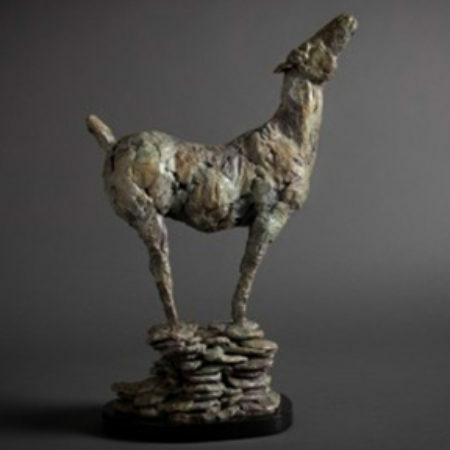 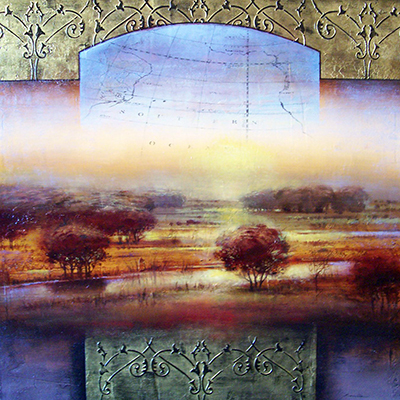 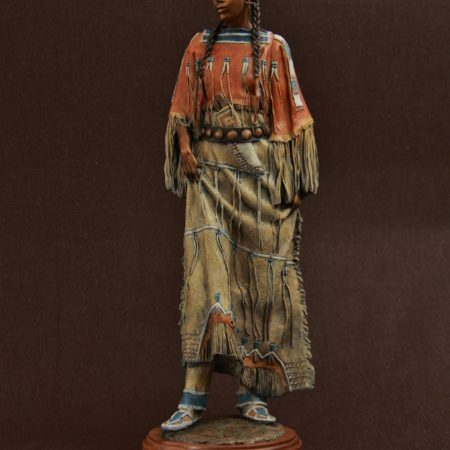 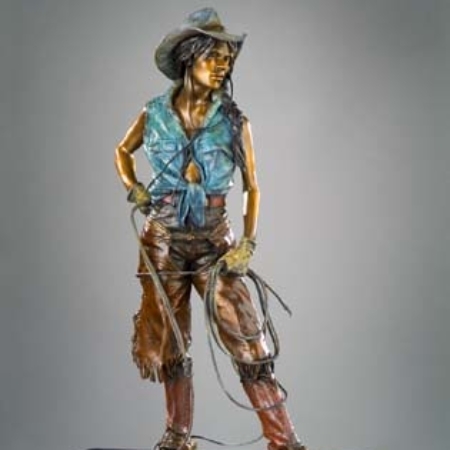 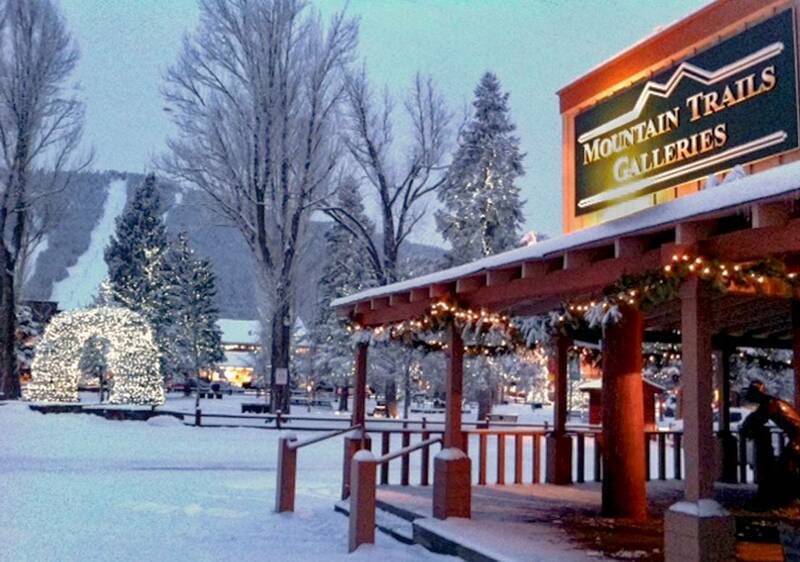 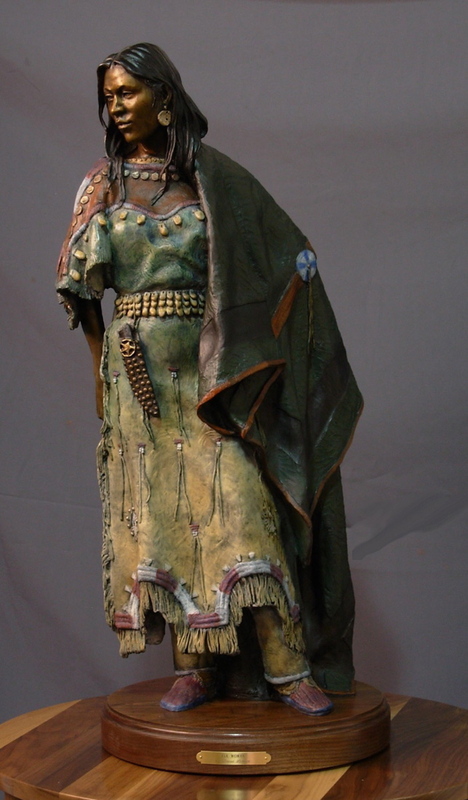 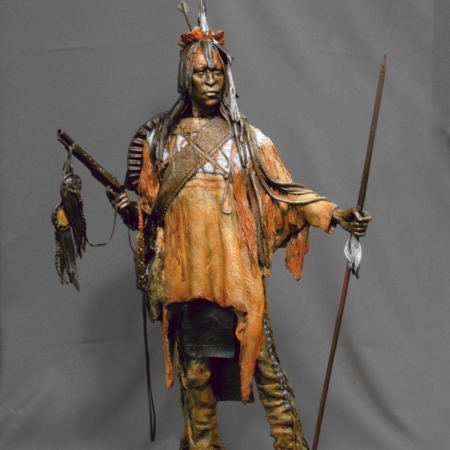 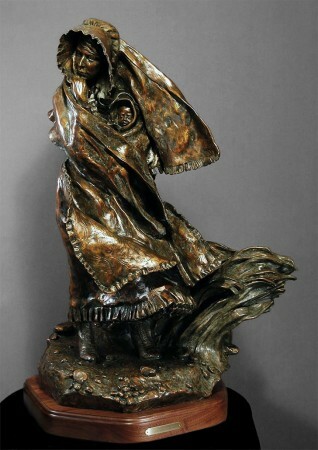 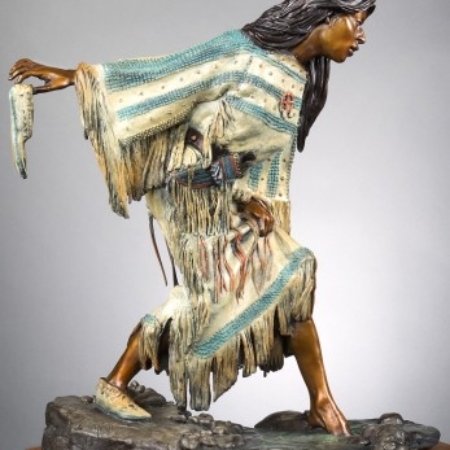 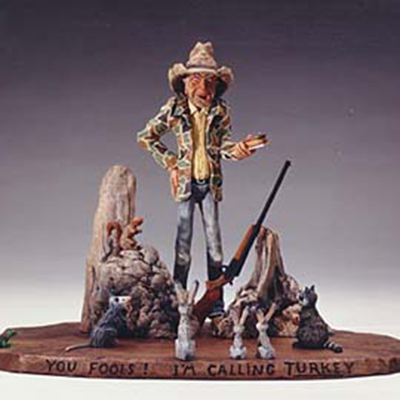 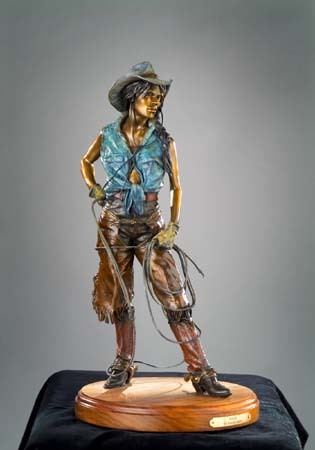 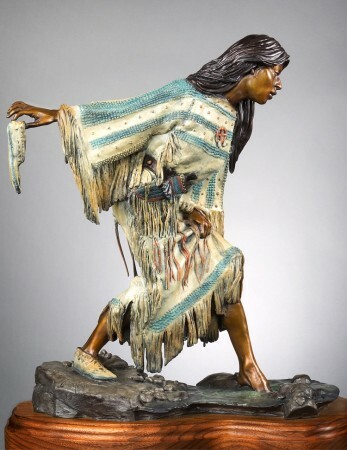 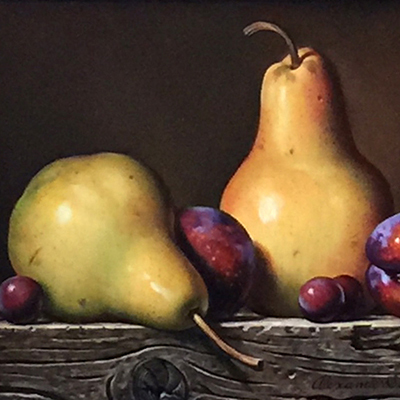 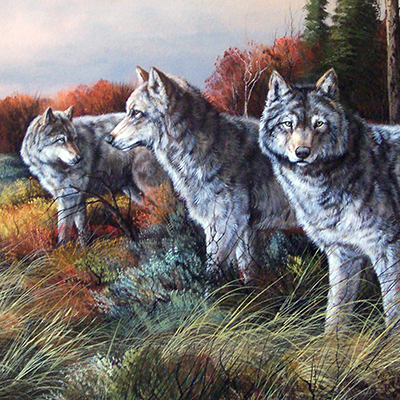 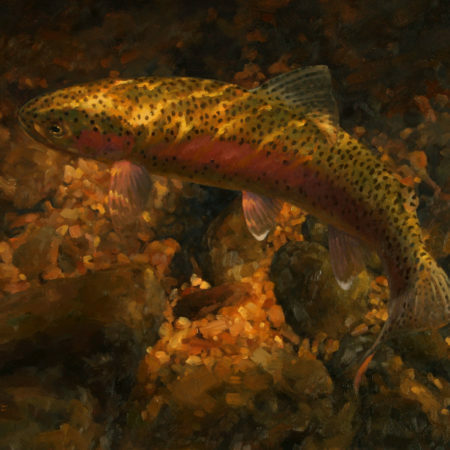 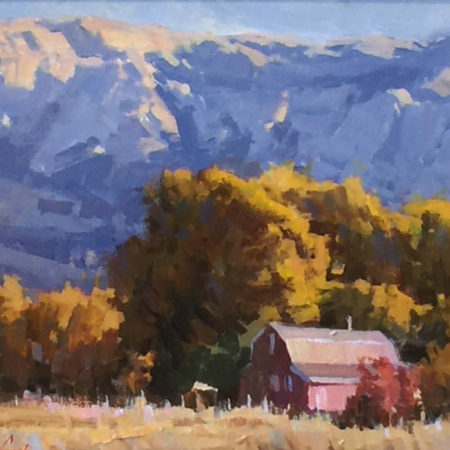 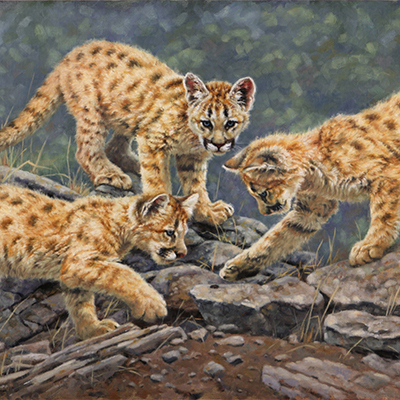 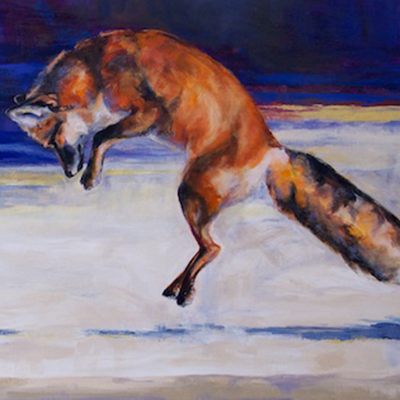 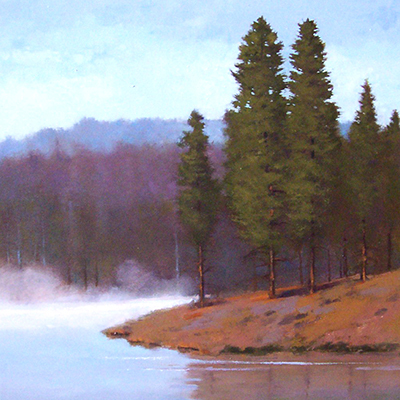 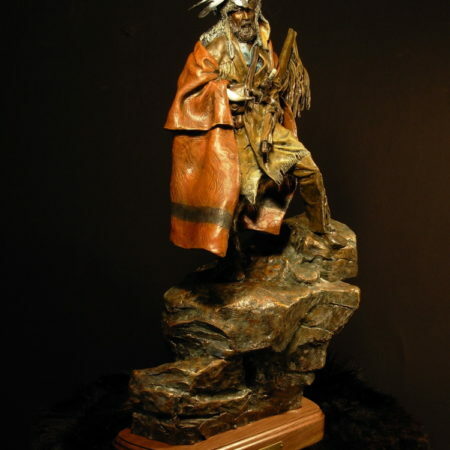 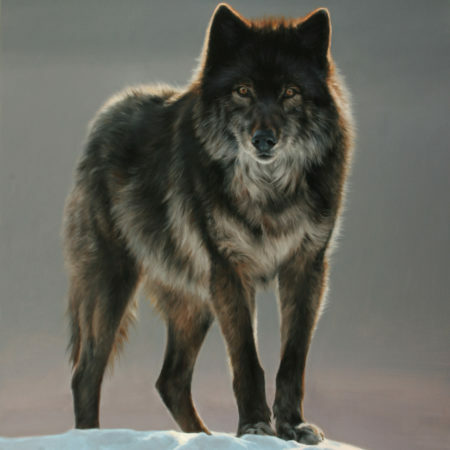 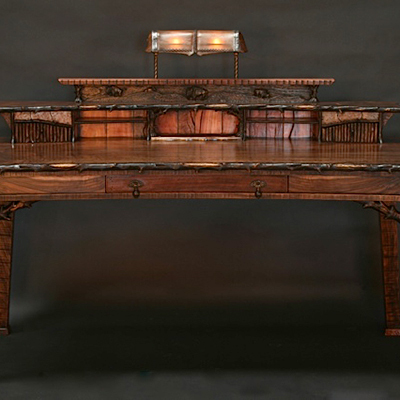 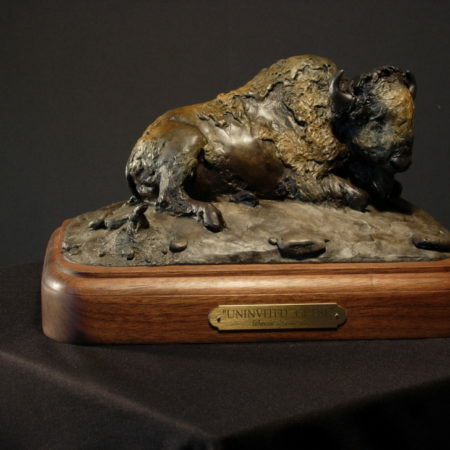 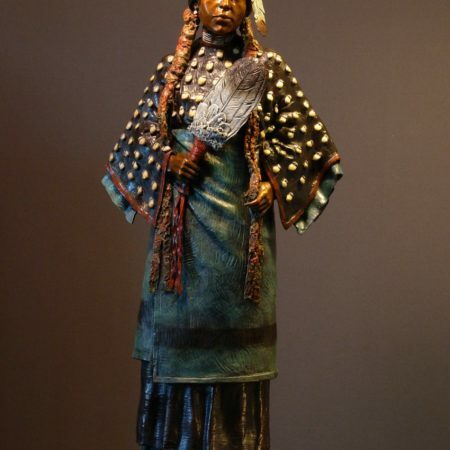 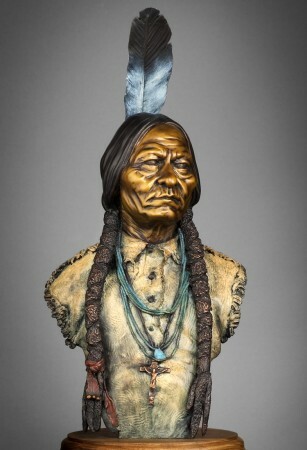 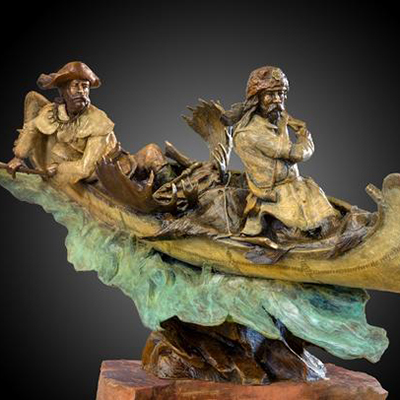 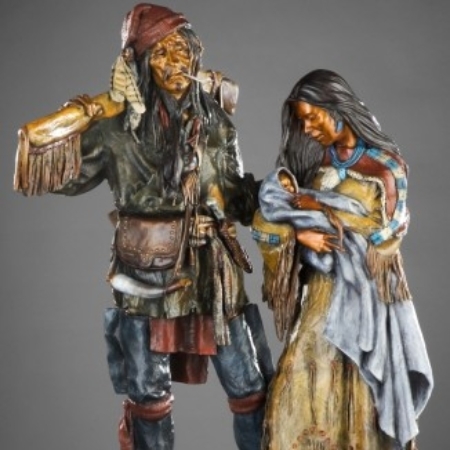 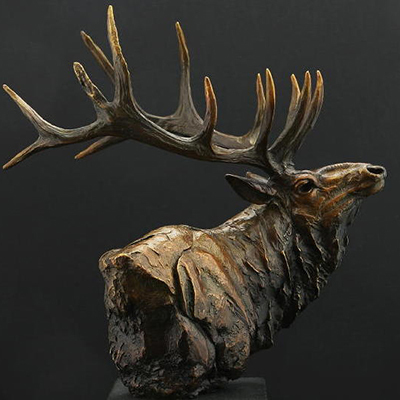 David's work appears in some of the largest art collections in the country and is part of the permanent collection of the Springville Art Museum in Springville, Utah. 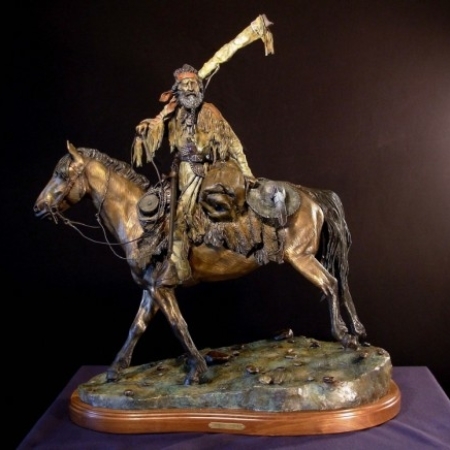 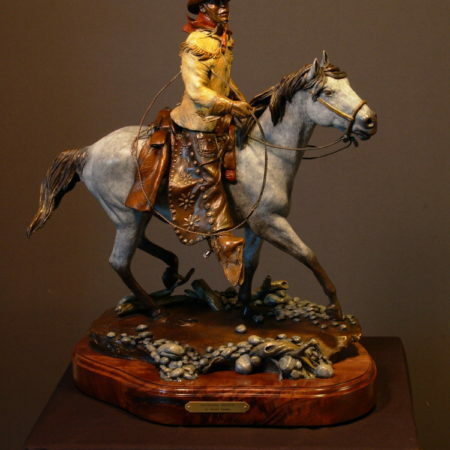 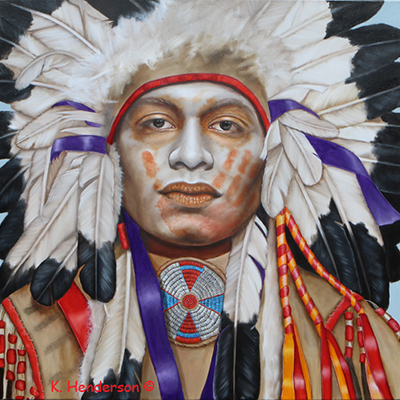 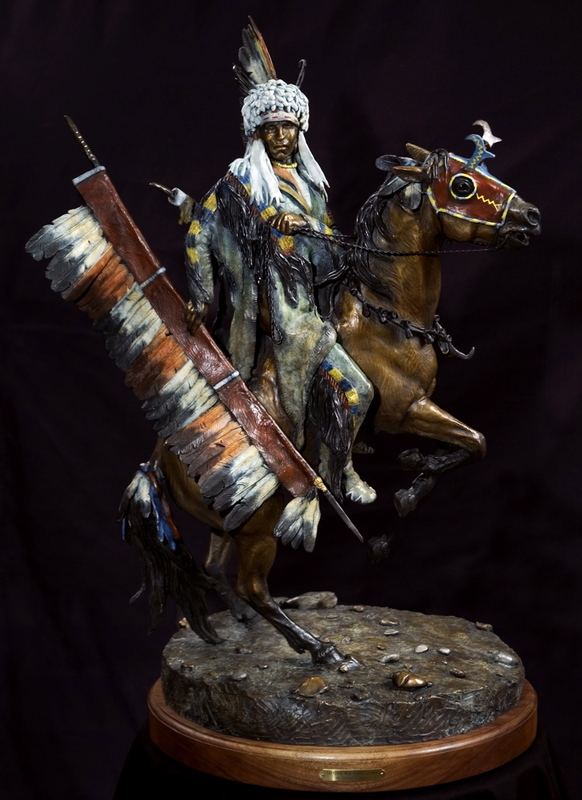 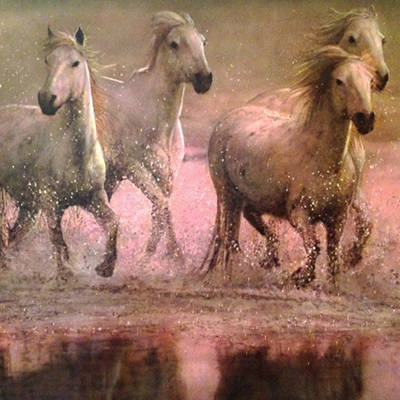 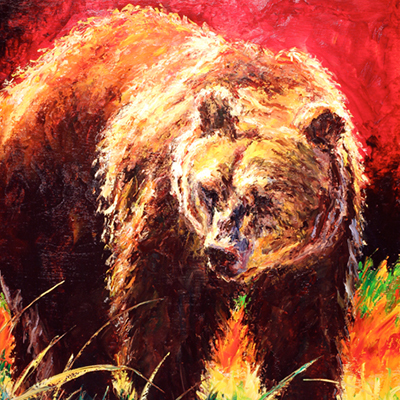 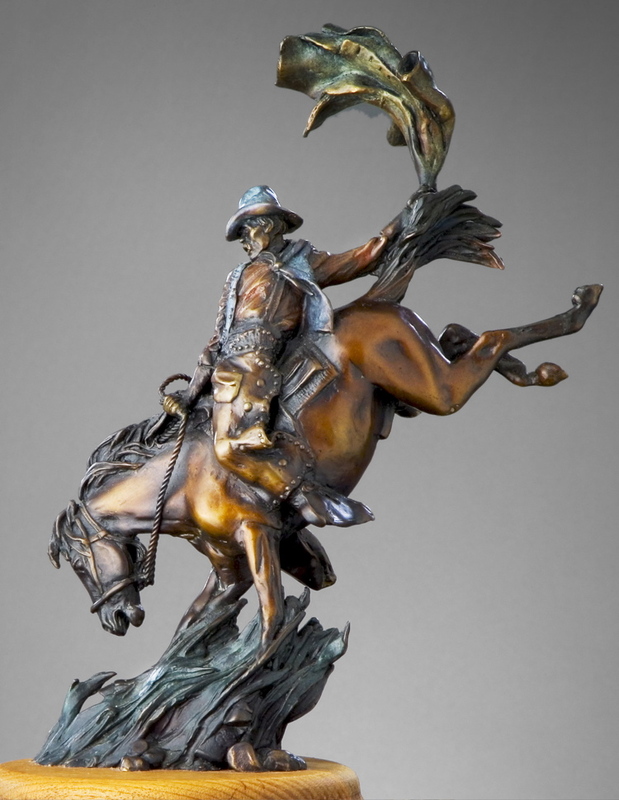 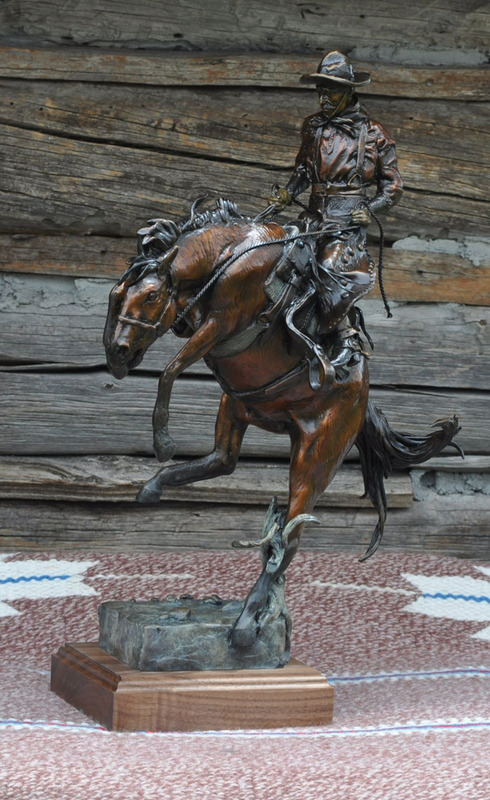 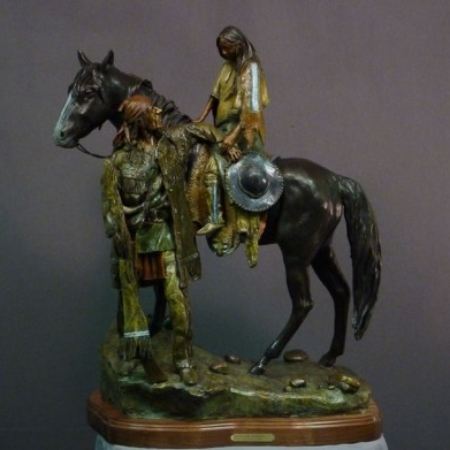 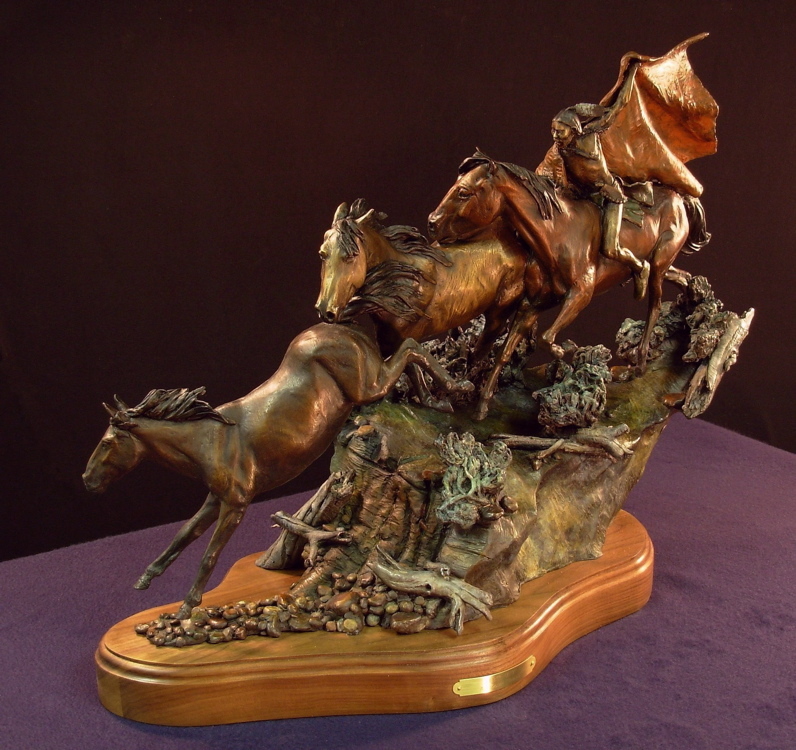 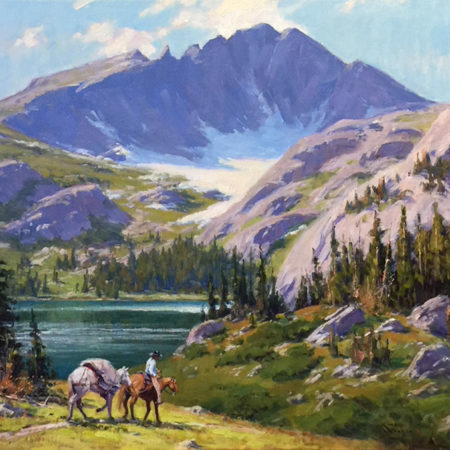 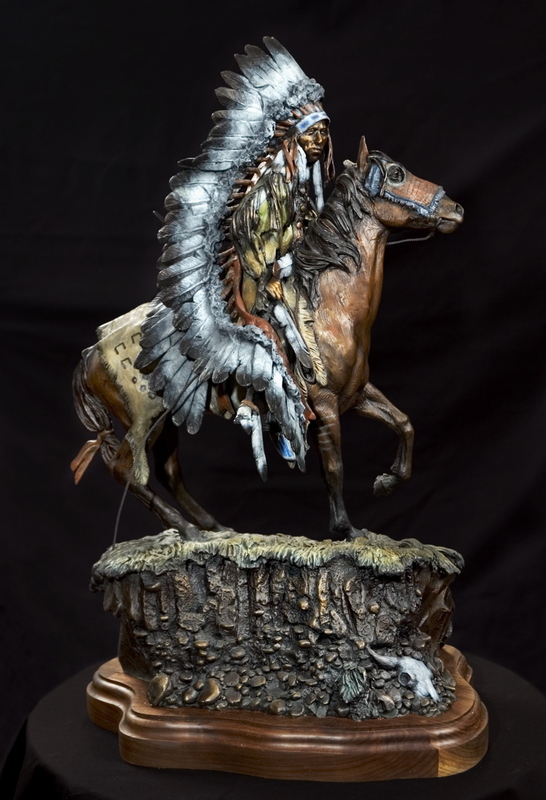 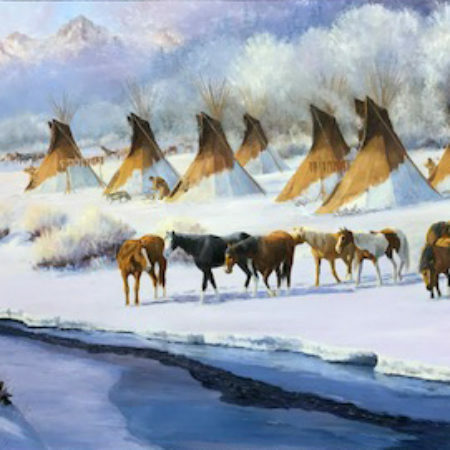 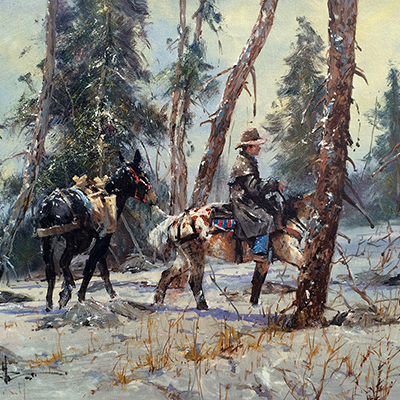 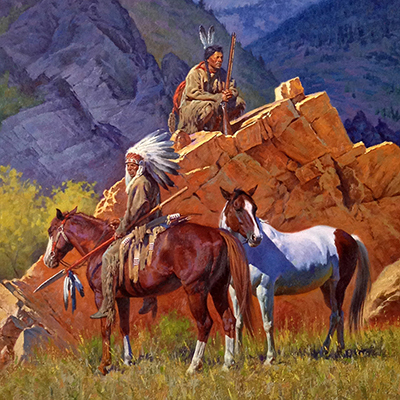 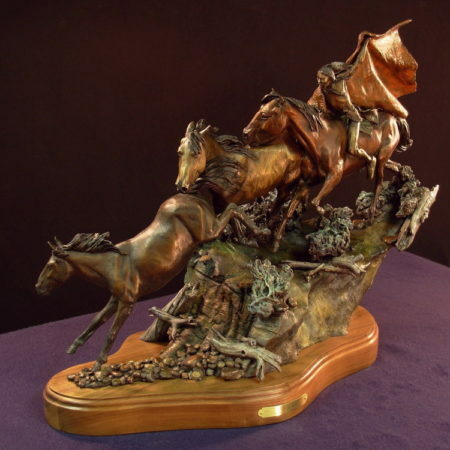 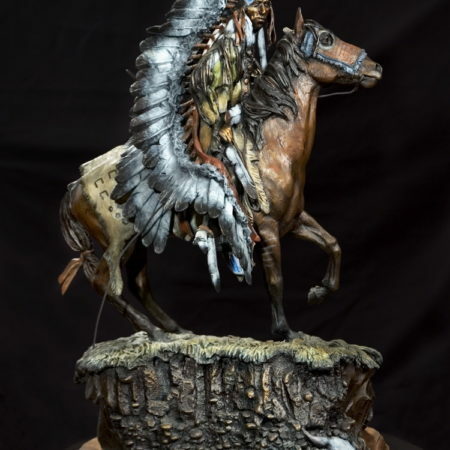 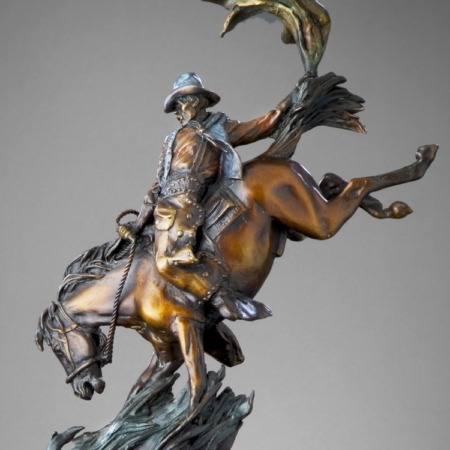 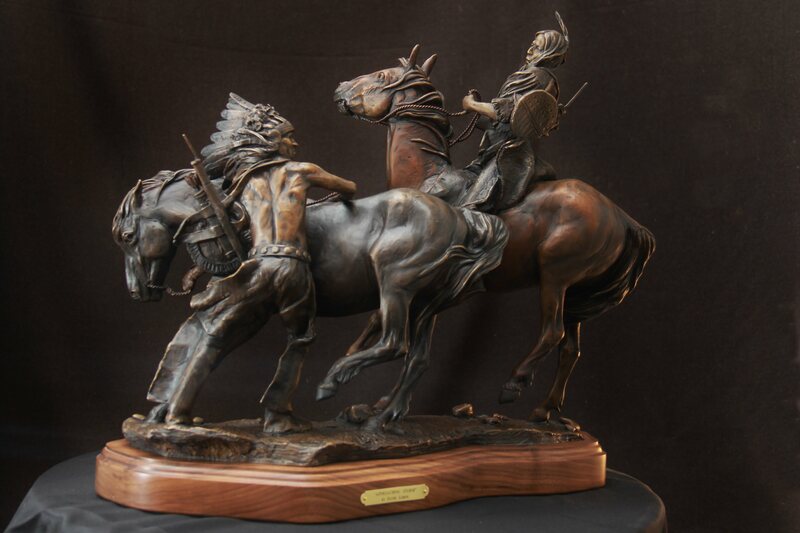 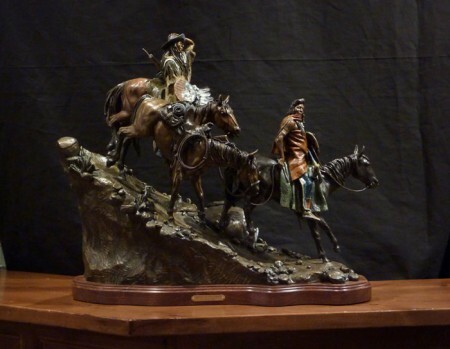 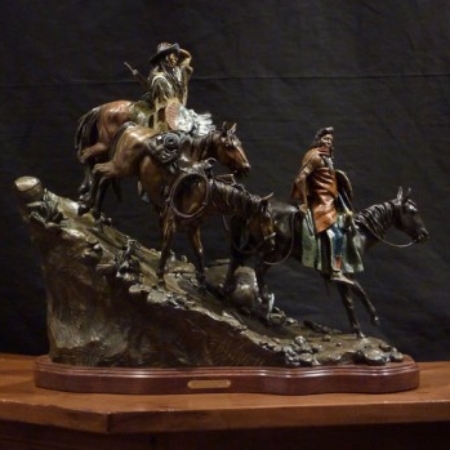 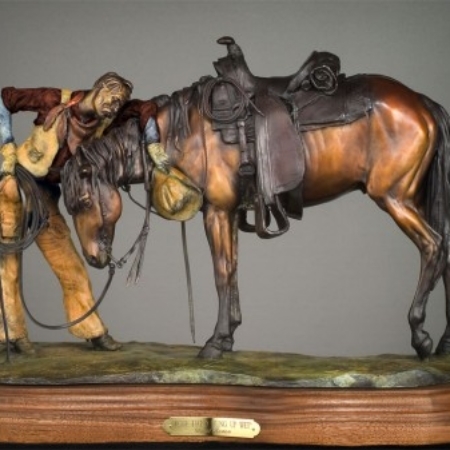 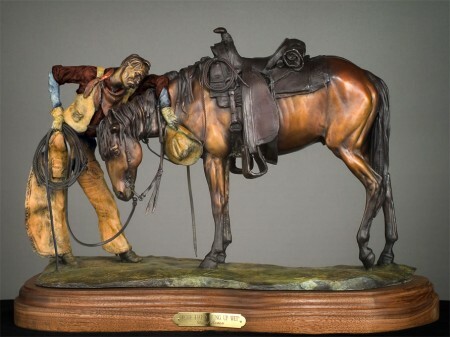 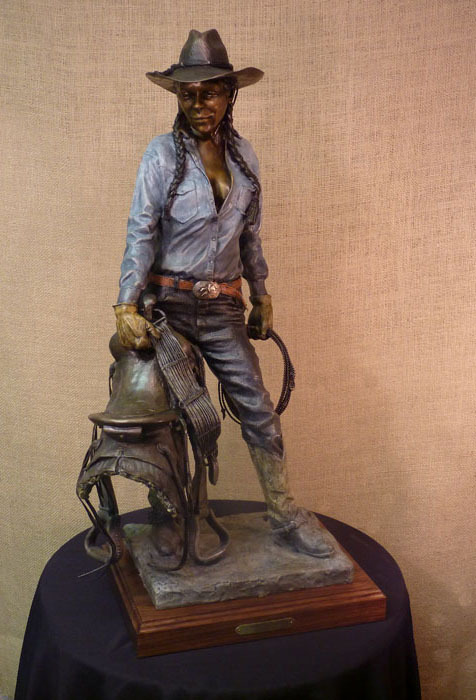 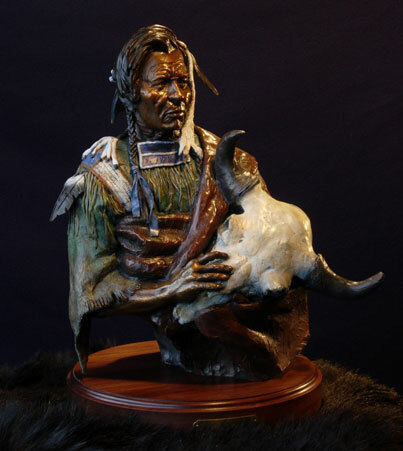 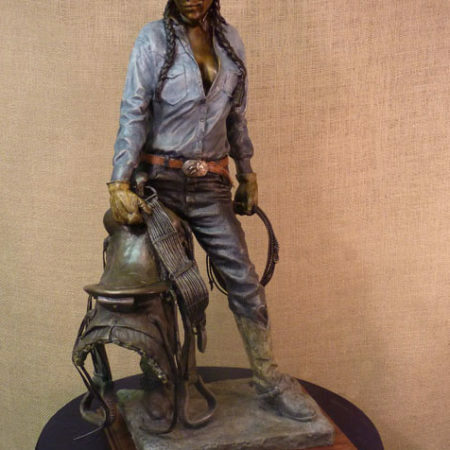 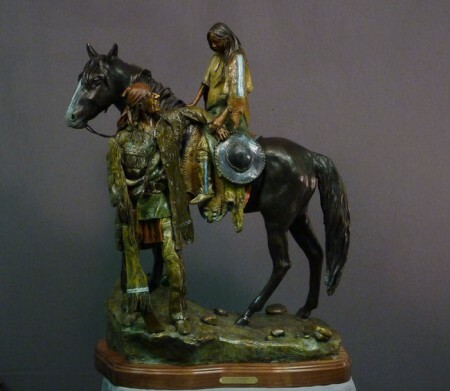 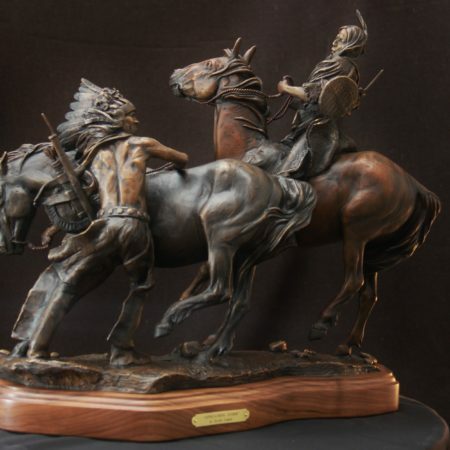 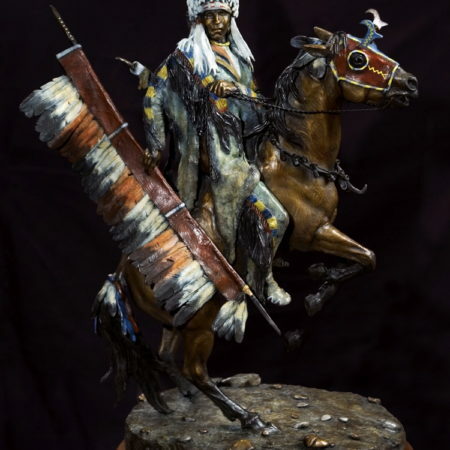 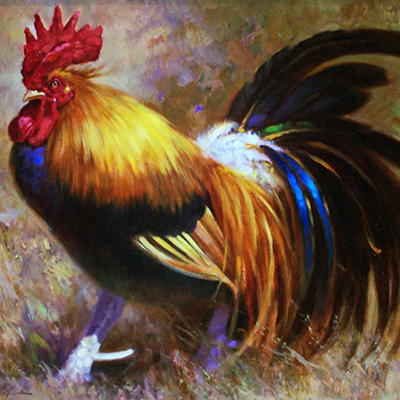 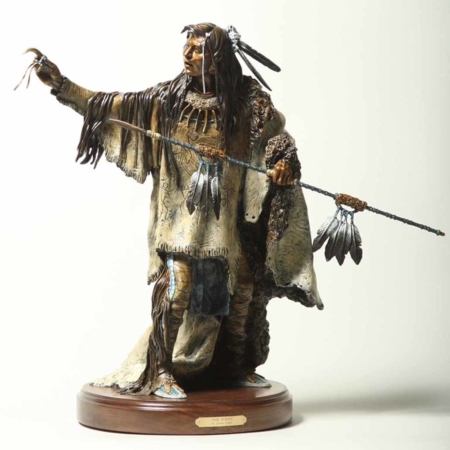 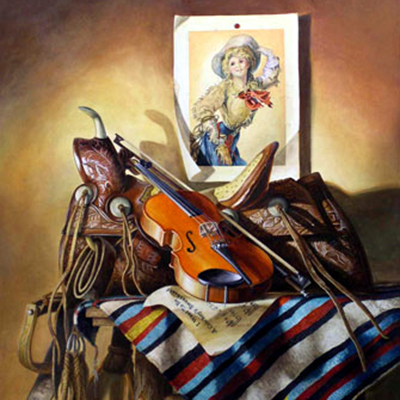 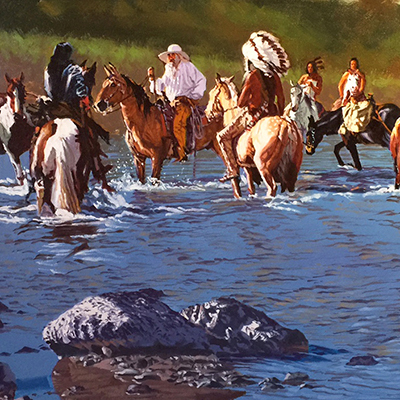 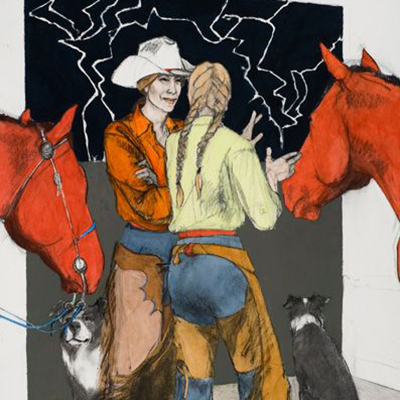 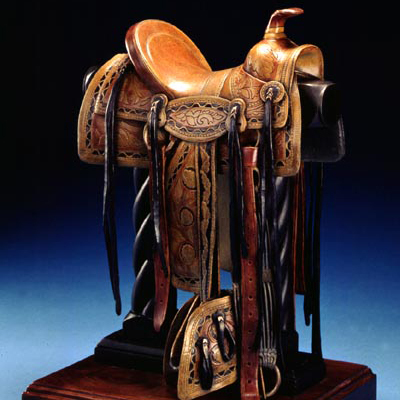 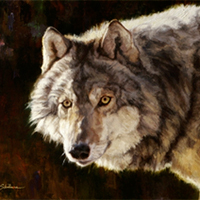 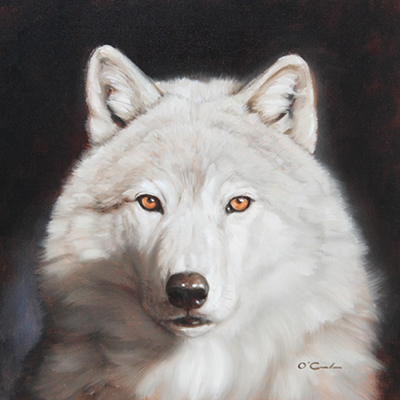 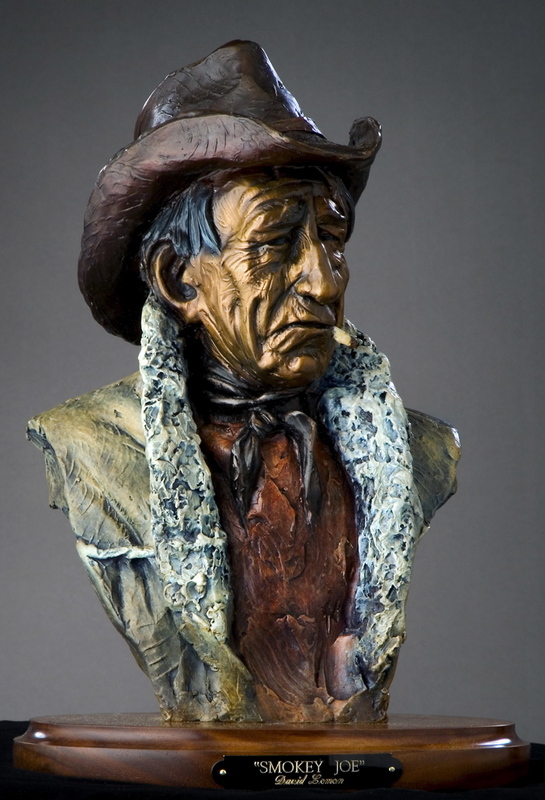 He's been reviewed and featured by Southwest Art Magazine, Western Horseman Magazine and Art of the West Magazine and was a featured artist in the book, Contemporary Western Artists. 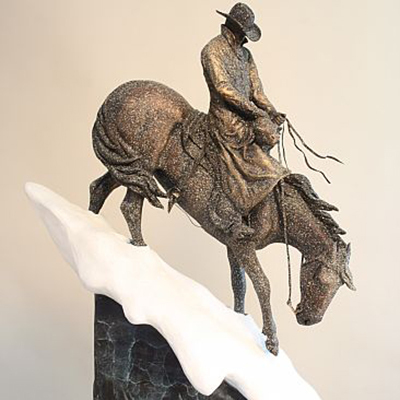 His gold medal winning pieces transcend culture and have touched hearts around the world. 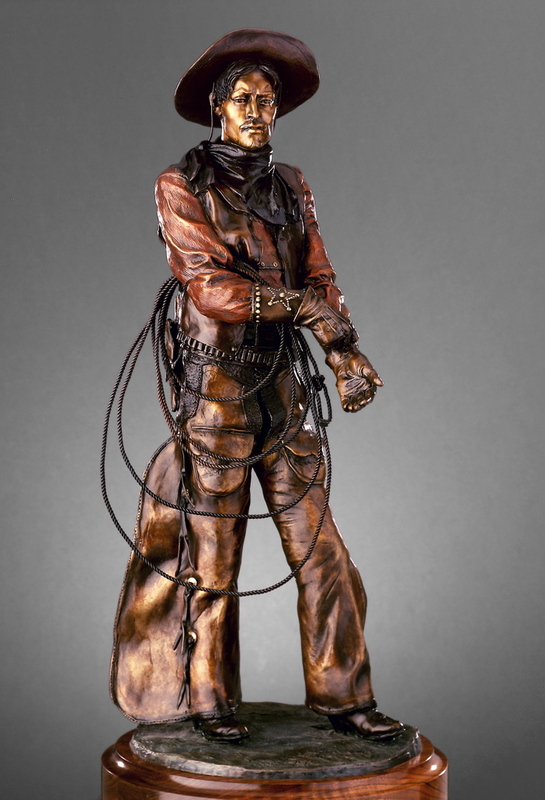 He has had exhibitions and showings in the U.S., Canada and as far away as a One Man Show In Jakarta Indonesia. 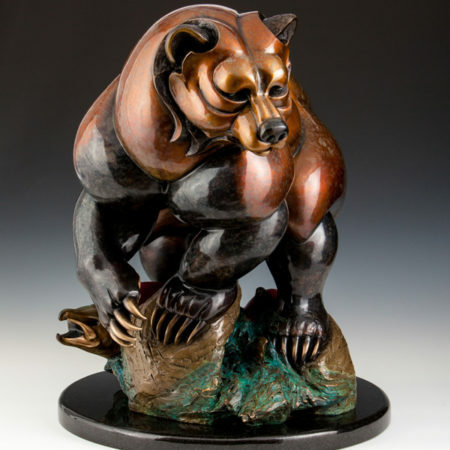 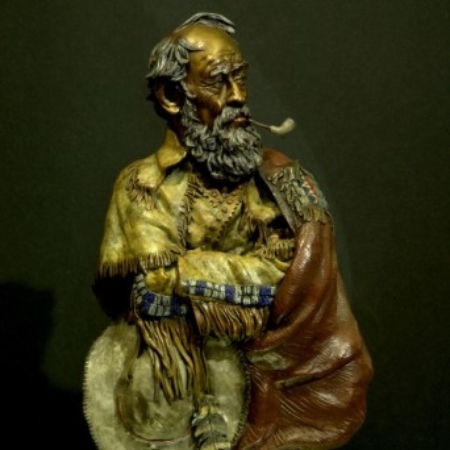 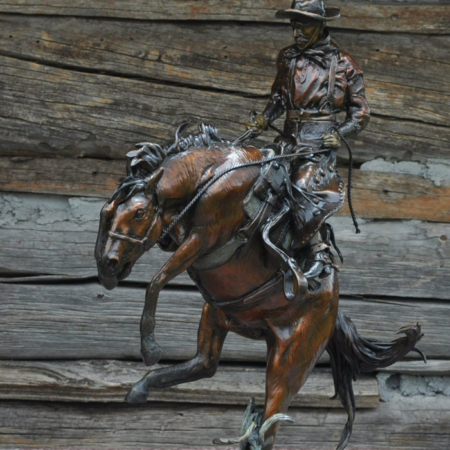 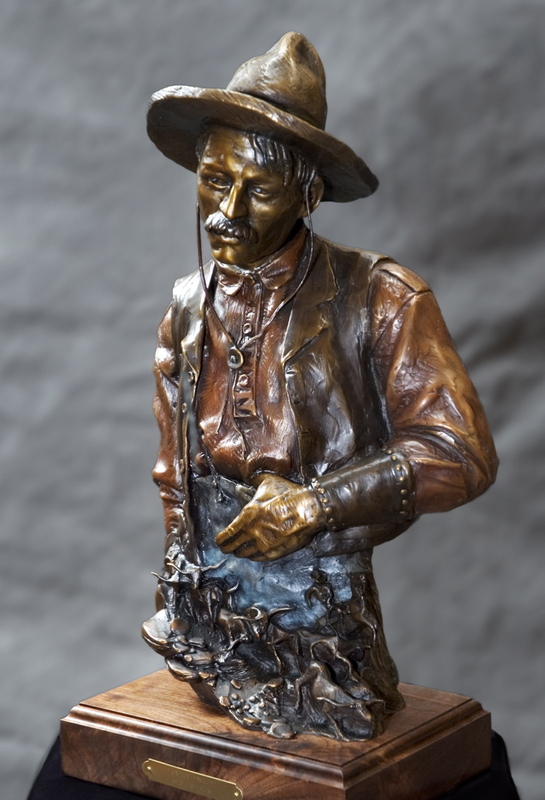 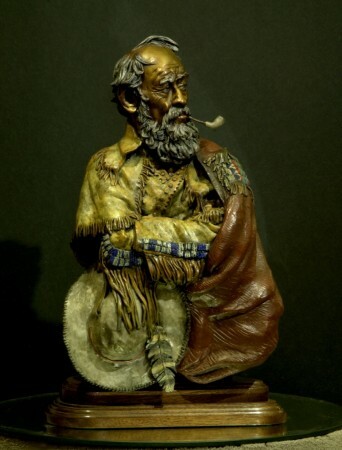 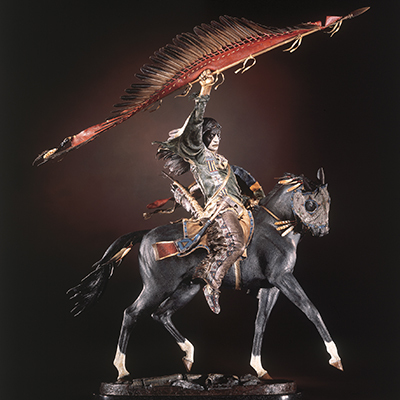 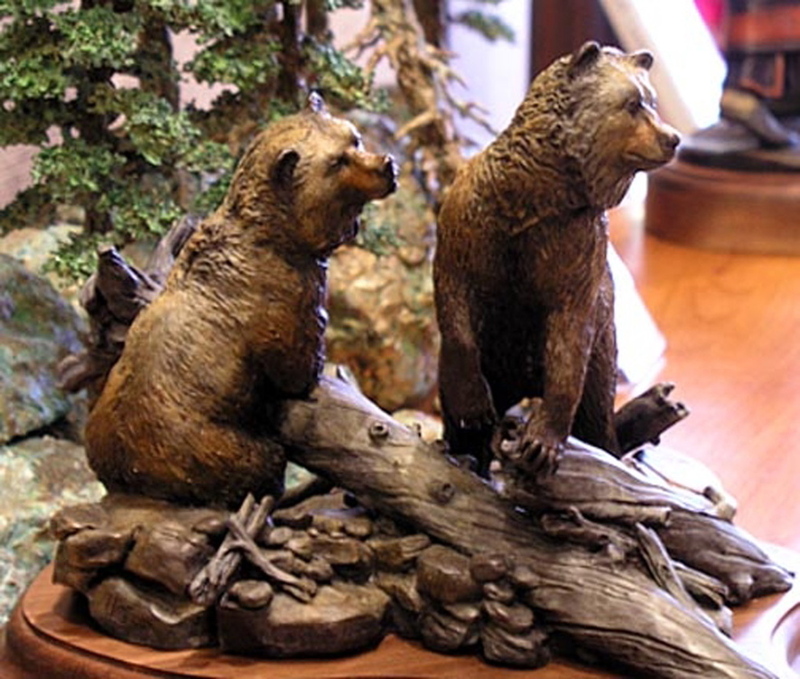 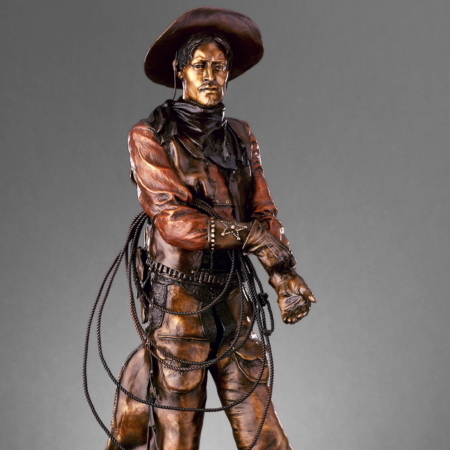 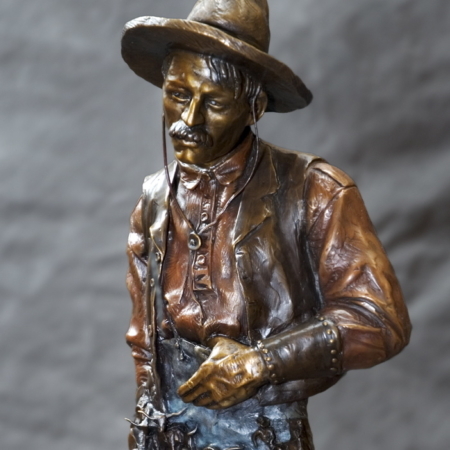 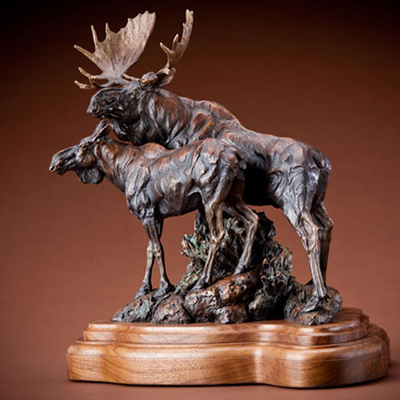 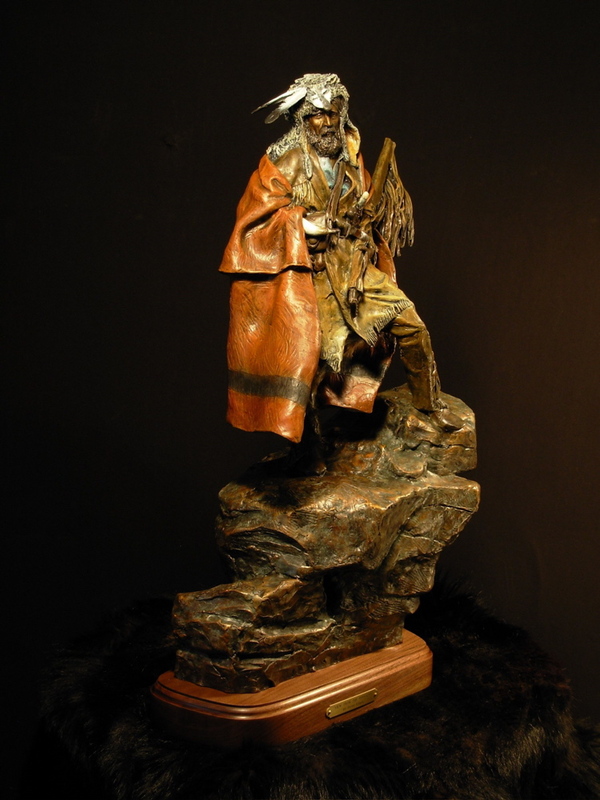 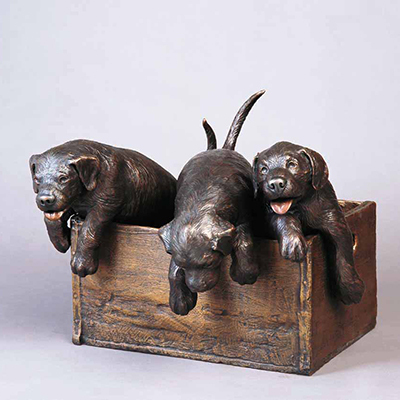 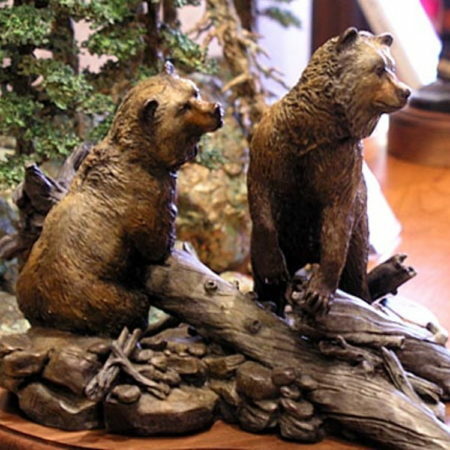 His privatly commissioned bronzes stand in front of, and inside, some of the finest homes in western United States. 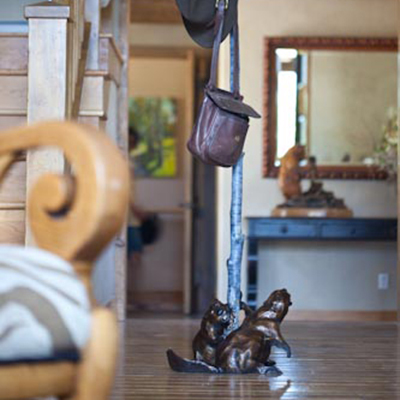 In fact one of those homes was featured on the Home and Garden Television Network, in a show called "Homes Across America". 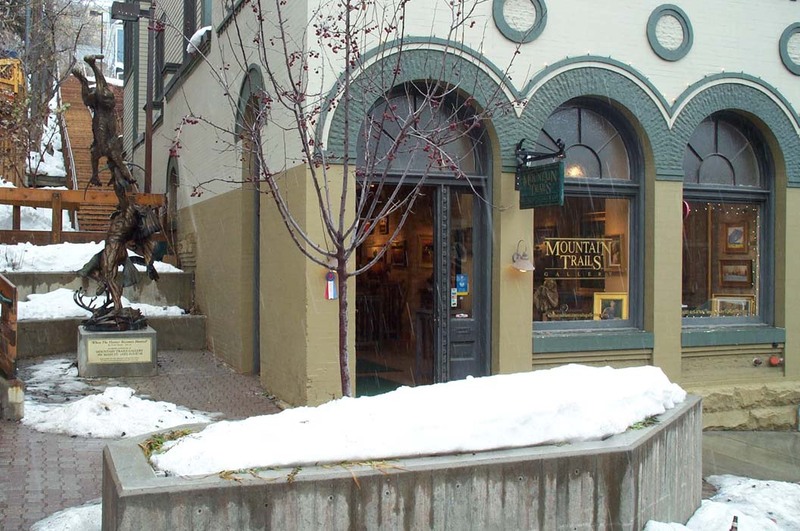 In this show, David's artwork was largly featured. 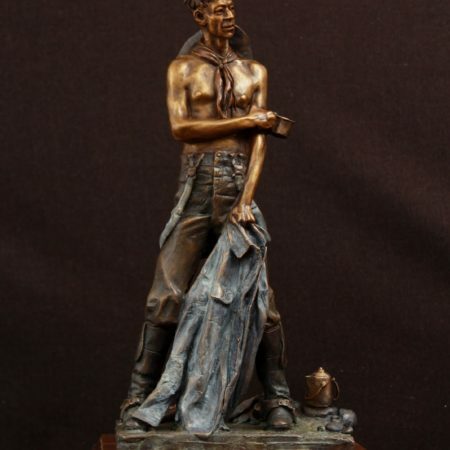 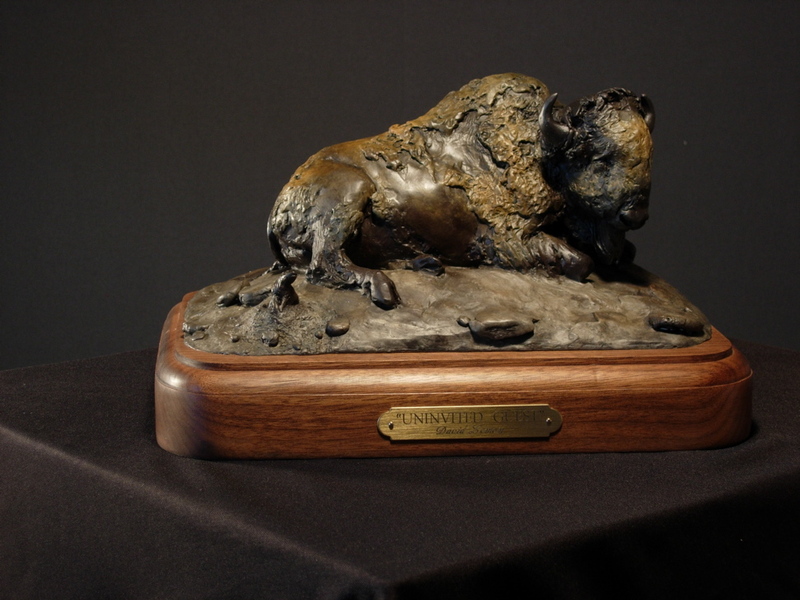 He is also very proud of a bronze he did for a Veterans Memorial located in his home town, Ennis, in southwest Montana.